As a person who lives in an upstairs flat where the only outdoor space is a balcony just big enough for a couple pots of herbs (and maybe a tomato plant or two), I often find myself getting uncontrollably envious of people who have fruit trees in their gardens. A couple weeks ago, I visited my friend Harriet’s flat in Auckland, and though I didn’t get a chance to stroll around her garden – a combination of terrible weather and an incredibly full stomach after stuffing my face at Barilla Dumpling on Dominion Rd meant that all I wanted to do was stay inside and sit very, very still – I did get a chance to stroll into her kitchen and get smacked in the face by the sweet, heady aroma of vanilla and peach coming from a big pan of vanilla-flecked stewed peaches on the stove. Not just any peaches, mind you: peaches from the peach tree. In the garden. Just outside the window. I couldn’t turn down the chance to sample some, despite the protestations of my full-to-bursting stomach (too many dumplings!). Jealousy sometimes makes you do funny things… or perhaps it was just a fear of missing out: how many of my friends have peach trees in their gardens, after all? In any case, I’m glad I gave in: they were meltingly tender, with that soft, mellow, vanilla-y sweetness that was faintly reminiscent (though a hundred times better) than the canned peach memories of my childhood. And when I returned to Wellington, I couldn’t get those peaches off my mind. What also came to mind was the addition of some spices – Harriet and her flatmate had been talking about adding cloves to the mix, though they didn’t in the end – and in the end, I dreamed up this somewhat-rustic pie, with a sugar-studded golden crust and filled with sweet, cardamom- and clove-spiced stewed peaches. It’s a little bit more complex than standing over the kitchen sink eating a summer peach (juices dripping down your chin, arm, elbow, of course), a bit more grounded and earthier than, say, this or this. 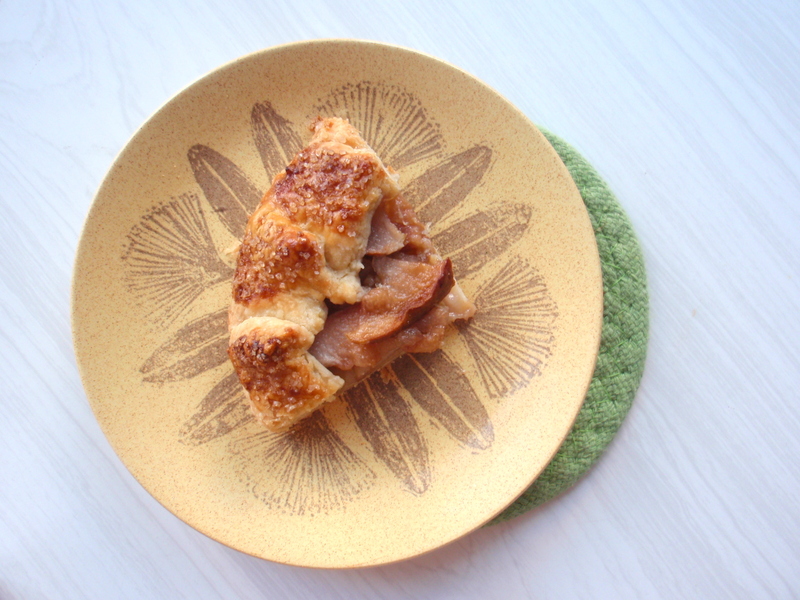 This is a peach pie for autumn. 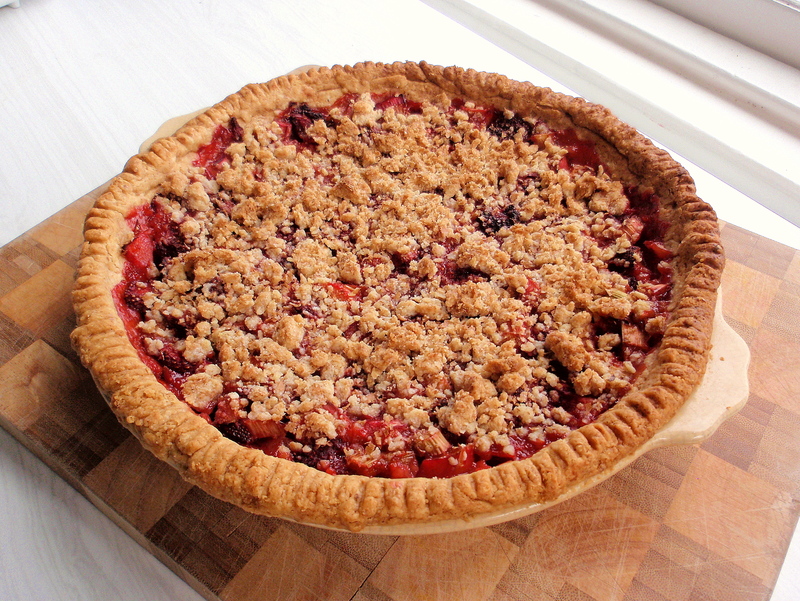 So, before the peach window closes for the season I’d recommend you go and pick up some of the last of the early-autumn harvest and make this pie. And if you’re getting your peaches off a tree in your garden, please, don’t tell me about it. I’ll be too jealous! *Though thanks to my happy little herb garden I have lots and lots of sage, and mint, and thyme, and I have a couple pots of vegetables here and there which means I never have to buy spring onions, for instance. Don’t get me wrong, I’m pretty pleased about that. 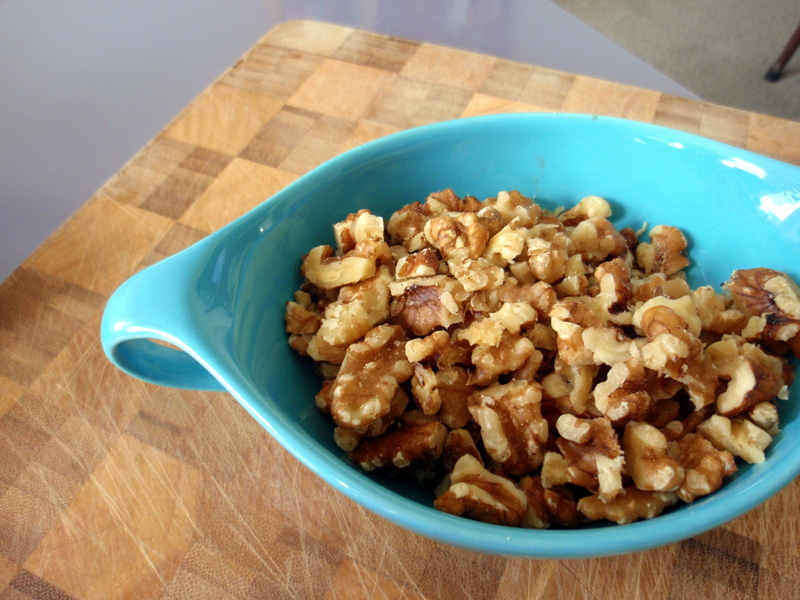 Sift together the dry ingredients in a medium-sized mixing bowl. Add the butter and rub into the flour using your fingers until the mixture is a grainy, pebbly consistency. Sprinkle the cold water over the mixture, a couple tablespoons at a time, until the dough comes together but is not too sticky (you probably won’t need to use all 8 tablespoons). If you’ve added too much water, just add more flour. Divide the dough in half, roll into balls and cover with plastic wrap. Chill for about 30 minutes to 1 hour in the fridge. Cut up 8 peaches and put in a biggish pan with about 3/4 cup sugar (more or less to taste), a few cloves and cardamom pods (if you’re fussy about removing these you could to tie them up in a muslin cloth or something so you can take them out before filling the pie) and about a teaspoon of vanilla paste (a vanilla pod would also work well here, or even real vanilla extract, but if you only have the artificial stuff please leave it out – it’ll still be fine, I promise). Add a little bit of water – 1/2 cup or so should do – and bring to a simmer. 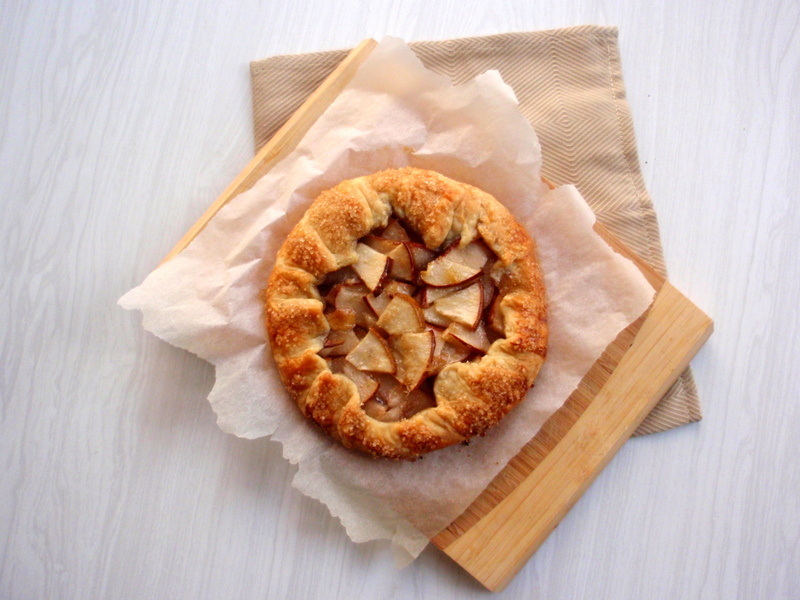 Cook over a gentle heat until the fruit is soft and tender and your kitchen smells amazing. Preheat the oven to 350C. Roll out the two balls of pastry on a floured surface so that they’re big enough to fit into a pie dish. 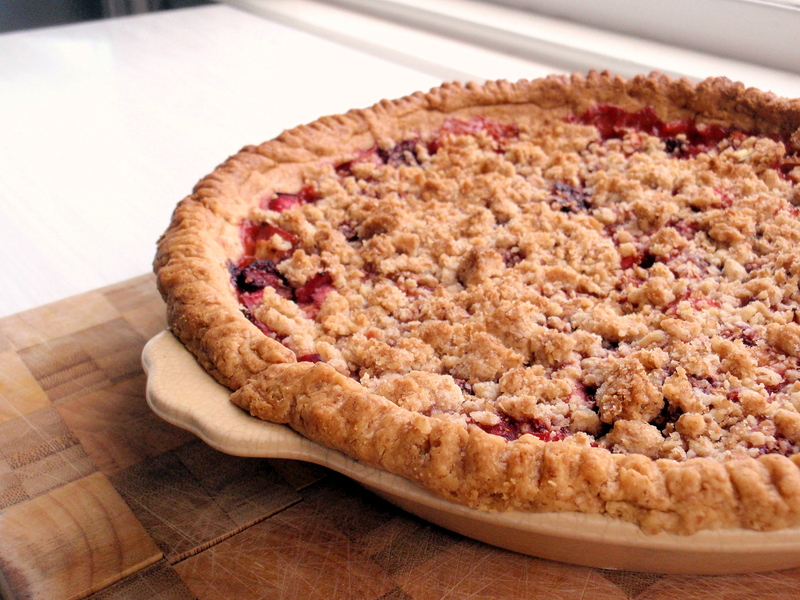 Line the pie dish with one of the pastry rounds and prick some holes in it with a fork. Bake for 10-15 minutes or so until it’s set a little and turns a pale golden colour. Fill the pie with the stewed peaches (I added a couple teaspoons of cornflour/cornstarch to hold the fruit mixture together, as it was quite juicy) and top with the other rolled-out bit of pastry. Cut some holes in the top so the steam can escape. 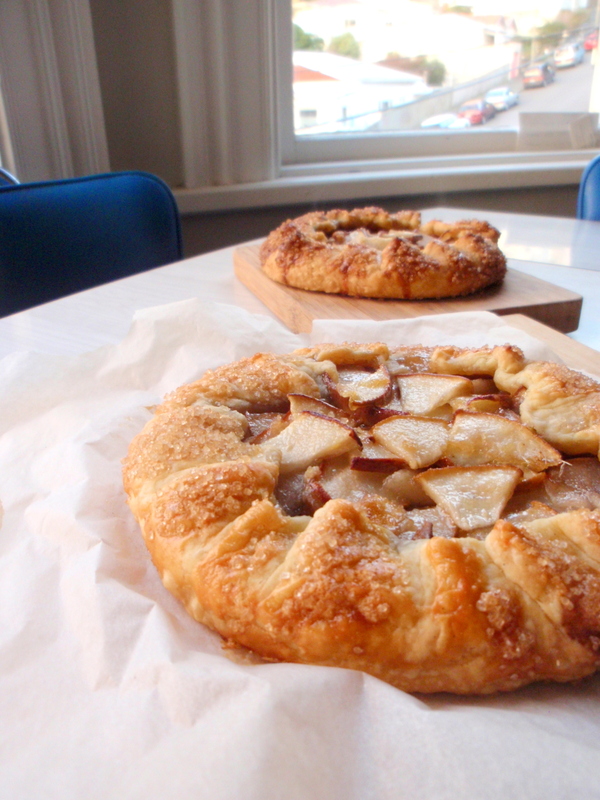 If you like, you can glaze the top with a bit of beaten egg and sprinkle some demerara sugar on top. Bake 35-45 minutes or until the top is nice and golden brown. Let cool before serving. 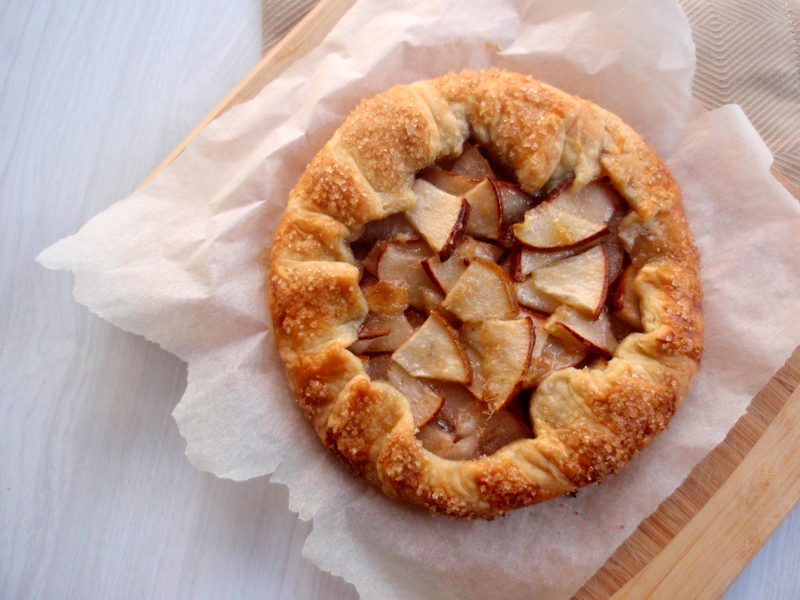 *this is the same recipe I’ve used for the pear & feijoa crostata I made last year, and pretty much my go-to pie crust recipe – it’s adapted from The Sweet Melissa Baking Book via this Serious Eats post. There’s no doubt that spring is here, with asparagus and strawberries having made their (pricey but triumphant) debut, sudden downpours and that crazy spring wind kicking up again and sprouting rocket and lettuces taking over the pots on my balcony. And I can’t quite get my head around the fact that daylight savings time is starting again this weekend. But strawberries are still madly expensive and it’s not quite time yet for other, more exciting fruits. Luckily there’s still plenty of citrus to fall back on, and I’ve been furiously eating all the oranges, grapefruits and mandarins I can get my hands on. 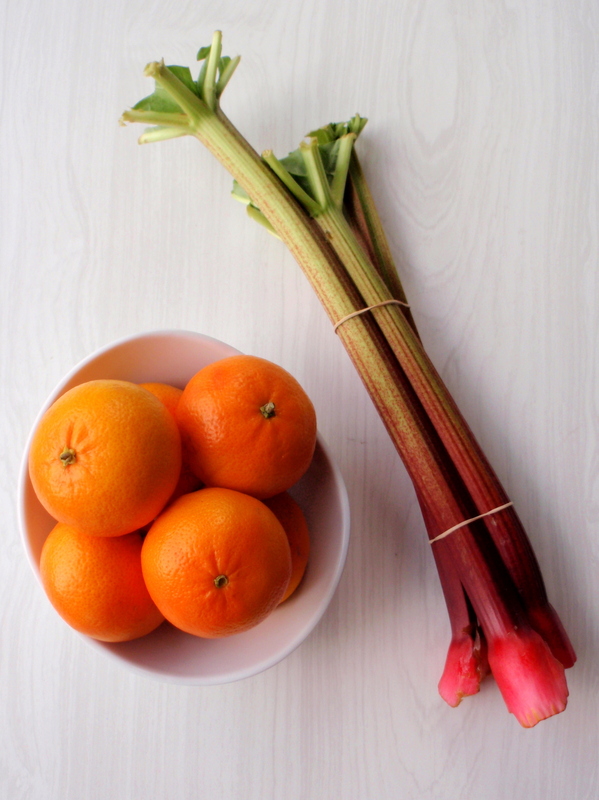 On Sunday, at the market, after breakfasting on cheesecake and so many oysters, I ventured out looking for something fresh and exciting and ended up with the same things I’ve been eating for the last couple months: citrus and rhubarb. 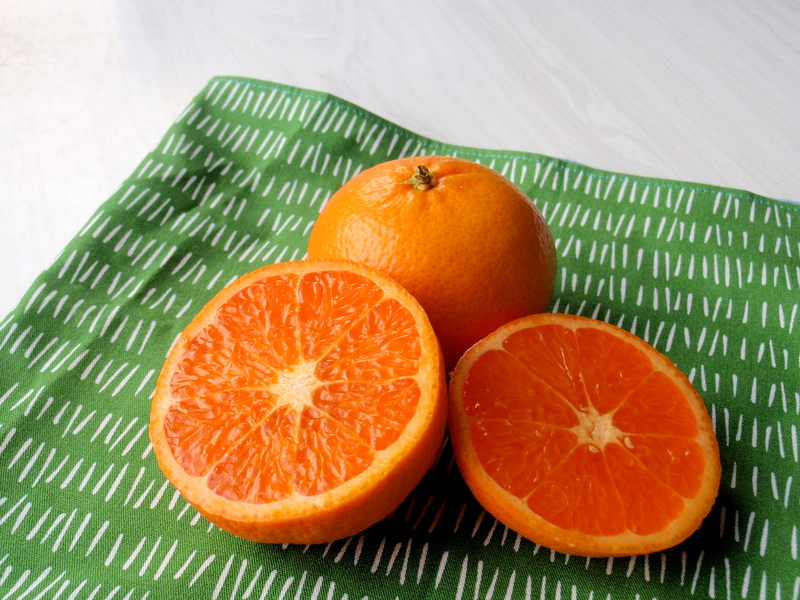 But what glorious Gisborne mandarins they were: bright and orange and bursting with cheer. And the rhubarb – those stalks so robust and fresh-looking with their almost-fluorescent-pink ends – couldn’t pass it up either. His were filled with a thick, creamy vanilla-seed-studded custard, and topped with berries or cherries or whatever summer fruit was available. They were beautiful: cool, creamy, bursting with fruit juices, perfect for an evening dinner outdoors. But I wanted something a little bit more grounded, a little less fleeting than the bursting berries and cold-creamy custard of summer. 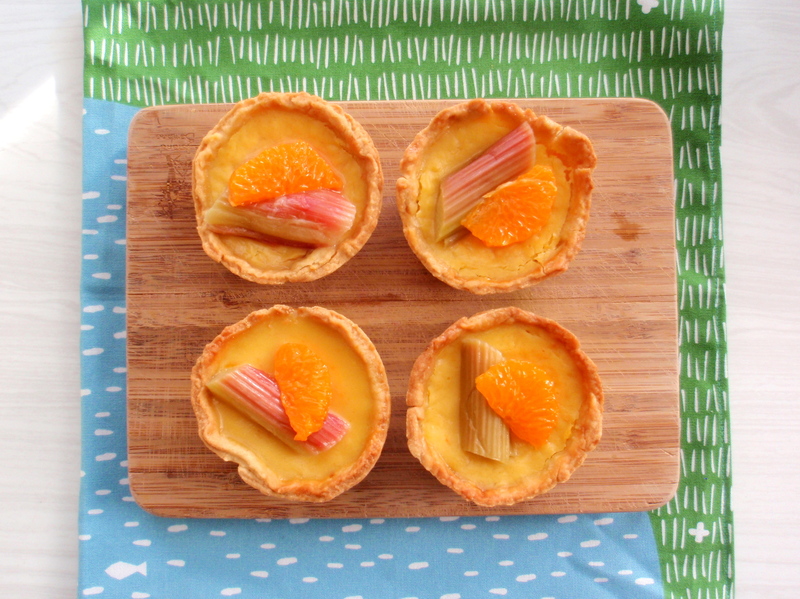 So in a tribute to winter fruits, and with a nod towards the chilled fruit-and-custard desserts of the warmer months, I settled on making these baked mandarin custard tarts, topped with poached rhubarb and bits of mandarin. I couldn’t quite find the recipe I was imagining in my head, so the custard recipe is sort of cobbled together from a couple recipes in past issues of Cuisine (one of them, for scented custard tarts, is here, and the other, for a grapefruit tart, is here) and from tinkering around in the kitchen until I got the custard filling right. 2. Making the custard filling. 3. Putting (1) and (2) together and baking. 4. Poaching rhubarb with which to top the cooled, finished product of (3). See? So much simpler when you look at it that way. 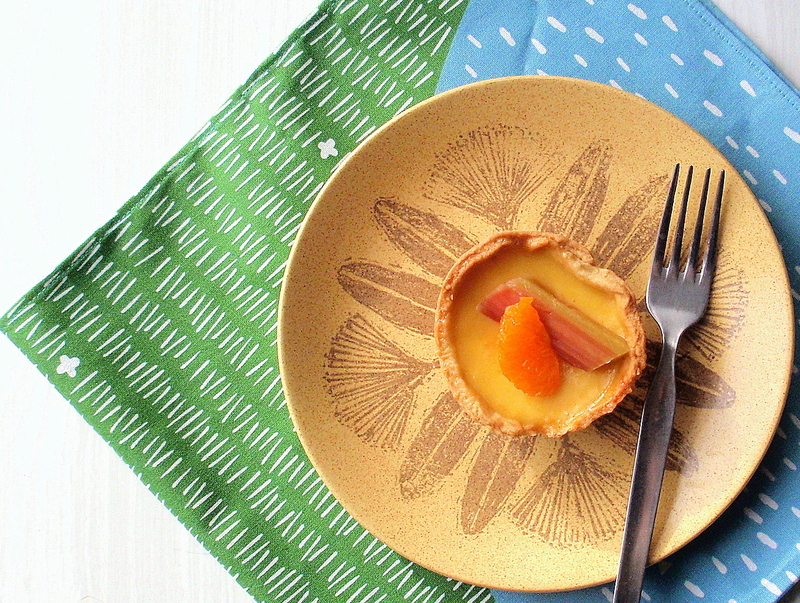 And it’s beautiful: sunny-yellow custard filling all mellow and sweet from the addition of mandarin juice, just a tad aromatic and grown-up from cardamom and orange blossom water. 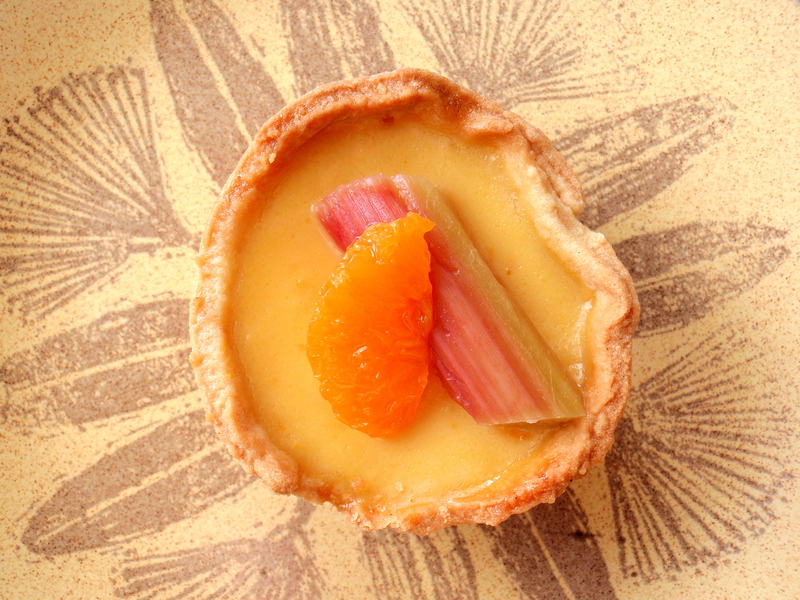 The rhubarb and mandarin on top, though not as intensely dramatic as bright-red, burstingly juicy cherries or berries, are sweet and demure and just juicy enough to provide a lovely contrast to the creamy custard. *Kotatsu. So traditionally, in Japanese homes, you sit on the floor on a low table when you eat. And in the winter, people sandwich a futon (not the fold-out sofa known to English-speakers as a futon, but a proper Japanese one, basically a thick, heavy duvet) in between the table top and the frame. And underneath? A heater. Yes. So amazing. Kotatsu are, in my opinion, quite possibly one of the best inventions mankind has ever come up with, and I’m perplexed as to why this hasn’t caught on in Western countries, especially New Zealand, what with our general lack of central heating or insulation and all. 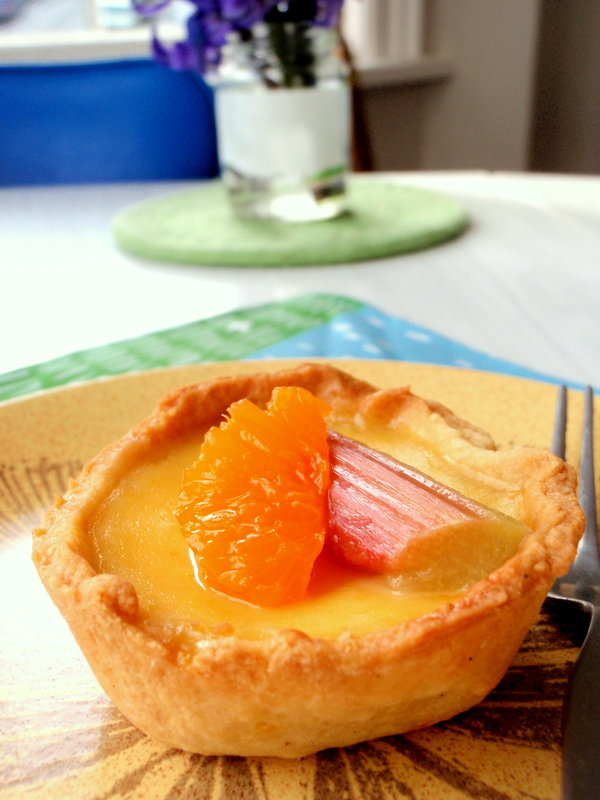 ***Apparently I think about those tarts a lot… this isn’t the first time I’ve mentioned them in a blog post. Sift the flour and salt into a medium-sized bowl. Cut the butter into little pieces and rub into the flour using your fingers. Beat the egg, sugar and zest together and add to the flour mixture: it should be nice and firm like cookie dough. * If it’s too wet or soft, add a bit more flour. If it’s too dry, add a little milk. Form into a ball, wrap with plastic wrap and stick in the fridge for 30 minutes or so. *A nice, firm cookie dough, like for sugar cookies or other cookies you roll out, not the kind you glop onto baking sheets. Heat the milk and cream along with the cardamom pods and mandarin peel just until boiling. Cover and let steep for at least 10 minutes, maybe more, while you get everything else ready. 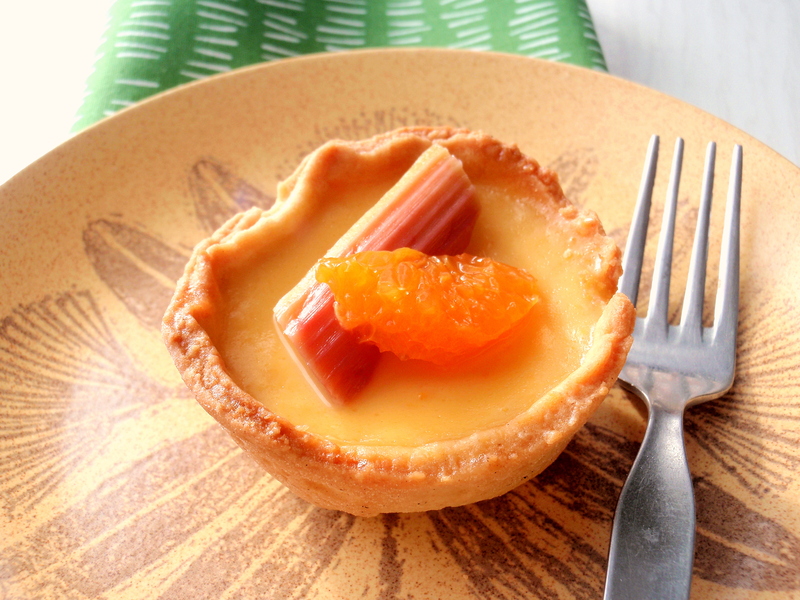 Squeeze about a cupful of mandarin juice and pour into a little saucepan. Boil vigorously until it reduces to about 1/4 cup. Let cool. In a smallish bowl, whisk the eggs and egg yolk along with the sugar and mandarin zest until the sugar dissolves a bit and it’s well-combined. Add the reduced juice (ha! that’s fun to say) and whisk some more, then, using a sieve, strain out the cardamom pods and mandarin peel from the cream/milk mixture and pour that in. Give everything a good whisk to combine. If you have orange blossom water, add a couple drops of that – not to overpower it, but enough to give it that alluring hint of something seductively floral. *I used a milk-cream mixture because I was almost out of cream. You could also just go ahead and use all cream. 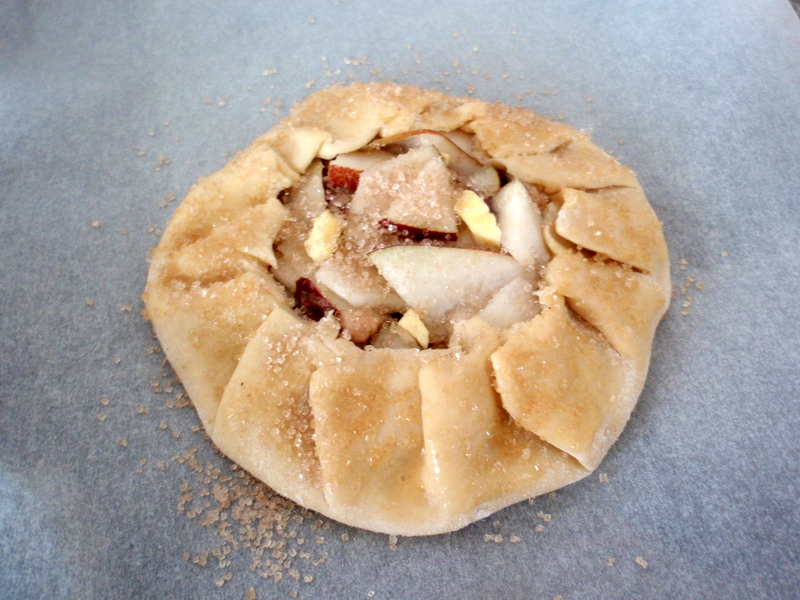 Roll out the pastry so it’s reasonably thin and use it to line a 12-cup muffin tin. * Line with baking paper, weigh the paper down with dry beans (or ceramic blind-baking beans or whatever you have), and blind bake at 170C for about 10-15 minutes until they’re just starting to get a golden hue and hold their shape. Take them out of the oven, remove the baking paper liners and beans, and brush the inside with the reserved egg white. Pop back in the oven for another 5 minutes. Turn the oven down to 150C. Let them cool down a bit before you put the custard filling in. You don’t have to go crazy and wait ages, I lasted about 5 minutes. Using a small ladle, carefully pour the custard filling into each tart shell so that it comes almost all the way up to the top. Carefully (I tend to slosh these things around and make a huge mess, so be steady) place these in the oven. Bake at 150C for about 20 minutes or until just set (no longer liquidy, though they may still have a teensy bit of wobble). Remove from the oven and cool completely. * Or, 2 6-cup muffin tins, or individual tart tins, or whatever takes your fancy really – . Heat the sugar and mandarin peel in about 1/2 cup water until the sugar is all dissolved and the mixture comes to a nice simmer. Add the rhubarb pieces and simmer gently for 2 or so minutes, so that they’re just cooked and tender but not totally falling apart. Remove from the liquid and let cool. 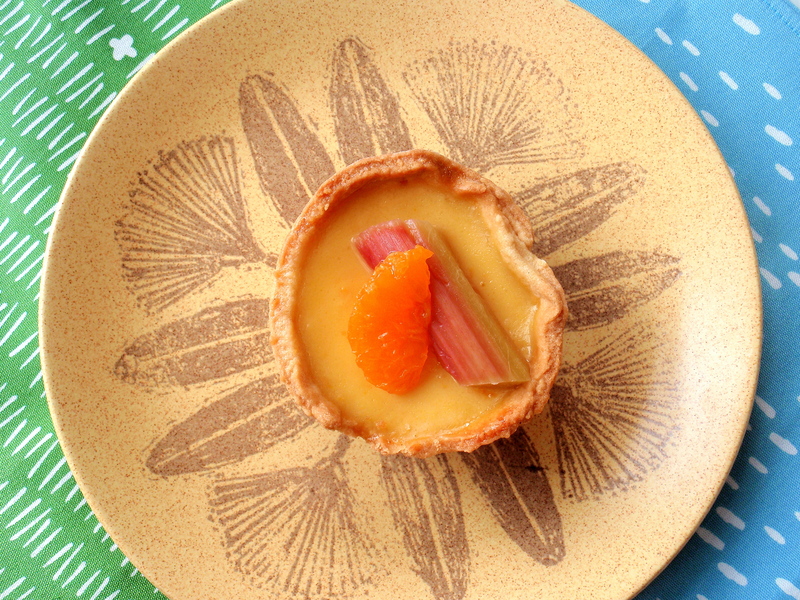 When everything is completely cool, top each tart with a bit of rhubarb and a mandarin segment (pith removed). Chill in the fridge until you’re ready to serve. Wow! And congratulations and thank you for making it to the end of this extremely long post! Thank you also to all the people who have visited the Facebook page for this blog already, and hit ‘like’ – if you haven’t yet, it’s at www.facebook.com/milliemirepoix and I have unashamedly talked it up here. Feel free to check it out. So if you’re anything like me you’re probably all “oh my god cheesecake” right now, but before we get to the cheesecake I have a little announcement to make: after a heck of a lot of dithering on the subject (will anyone “like” it besides my mum? How many social media outlets do I really need to be on?) I’ve finally gone and created a Facebook page for this blog. You can find it, rather predictably, at www.facebook.com/milliemirepoix. 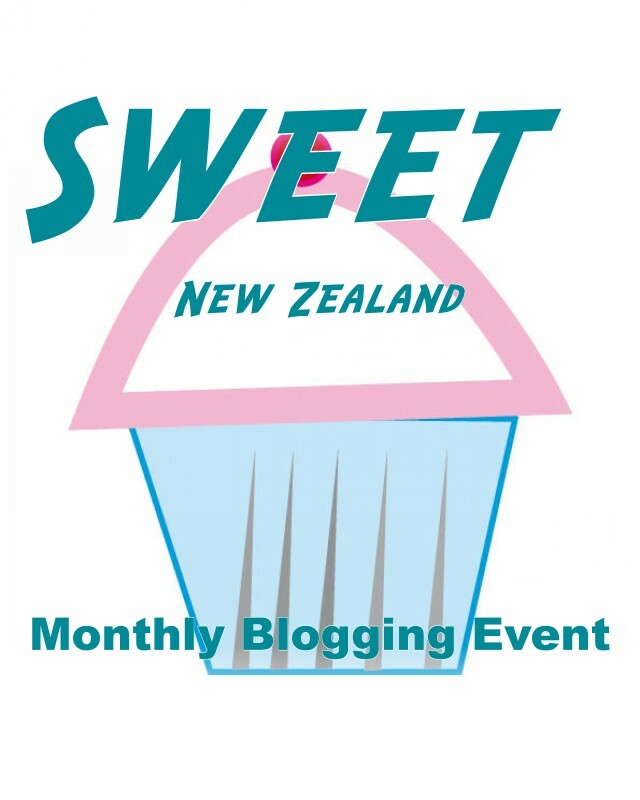 On the Facebook page there will not only be links to the latest blog posts, but also other little tidbits: recipes, interesting links, what I’m cooking that day. I’m also hoping it’ll be a place where other people share ideas and suggestions, comments and feedback – perfect if you’ve been shy to comment on the blog but have some thoughts to share. It would be really, really awesome if (after reading about cheesecake of course) you, person reading this right now, stop by and say hello. Who knows, I may even do a giveaway at some stage. So! Now that that’s out of the way: cheesecake. 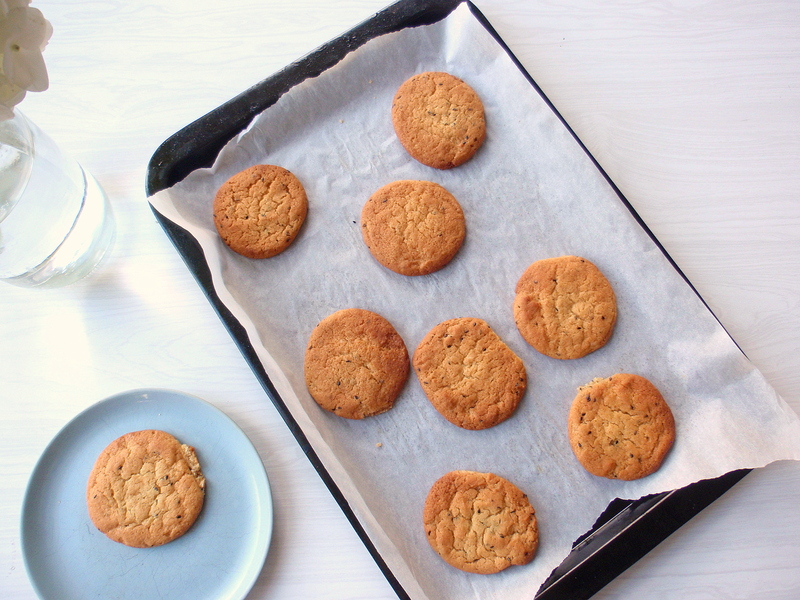 It had been on my mind ever since that lunch with Chef Wan when the conversation somehow turned to the subject and all I could think of for the next week or so was cream cheese and biscuit-crumb bases and different flavour combinations. That, combined with the birthday of a dear friend (who never requests I make anything except the occasional “Mika, can you make cheesecake? Please?” to which the answer is usually “but I have no cream cheese, how about pie/cookies/cake/etc”) led me to the shop, finally, armed with a shopping list including cream cheese and mascarpone and malt biscuits: all of the good things. While I usually prefer a plain cheesecake topped with a bit of fruit, this cheesecake wasn’t for me, but for my peanut butter-loving friend. 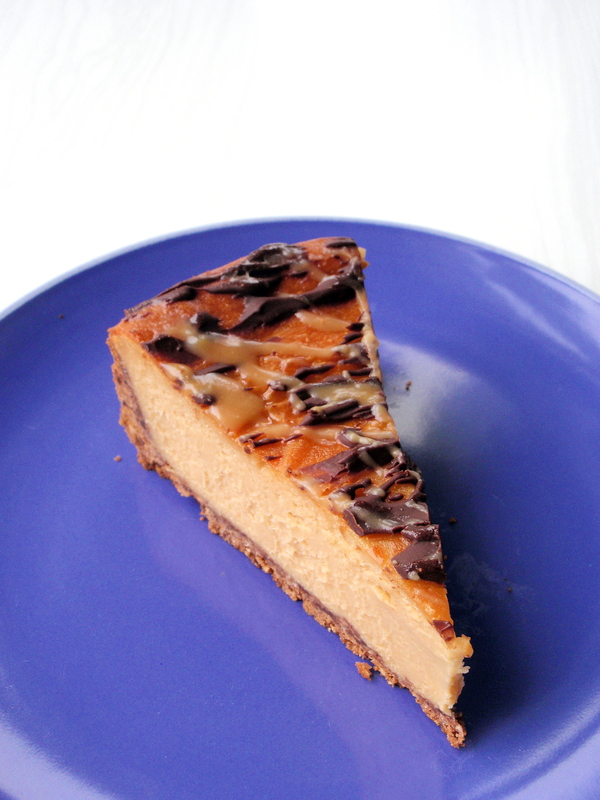 I found a recipe for peanut butter cheesecake on (who else?) Nigella Lawson’s website, and changed it a bit: I used a combination of mascarpone and cream cheese in the filling and left out the sour cream topping which is baked on at the end. 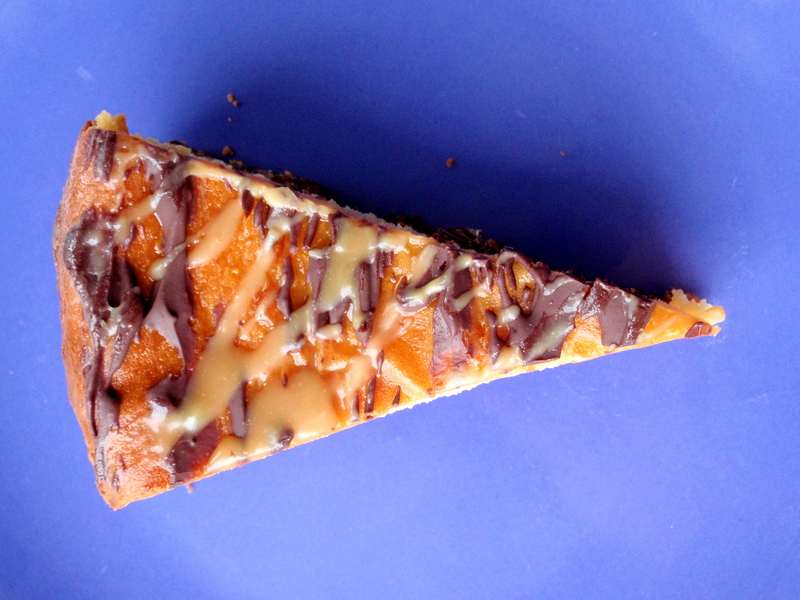 Instead of the topping, I drizzled salted caramel sauce and chocolate ganache over the top. And it was over the top. But in the best possible way. 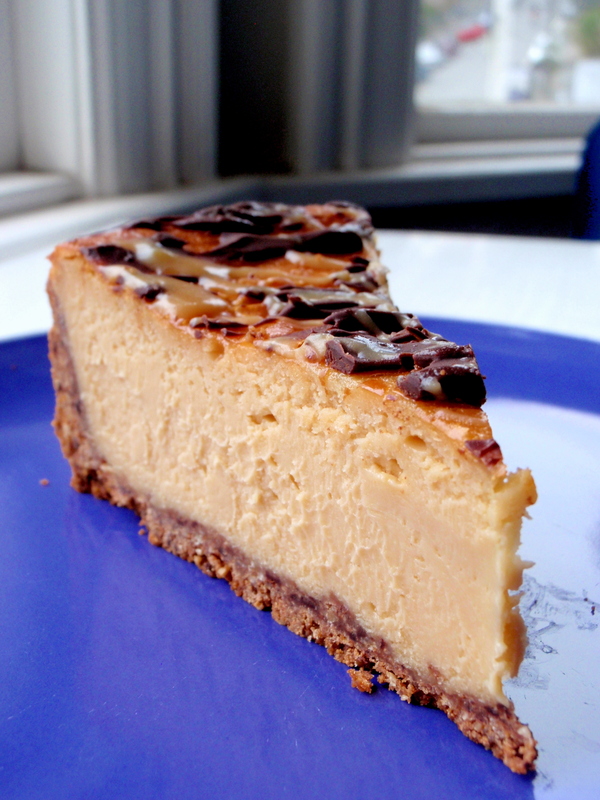 There’s no denying it: this cheesecake is rich. So rich, in fact, that it conquered my sweet tooth – I couldn’t eat more than a tiny sliver at a time, when usually I don’t (can’t?) show any restraint around desserts. 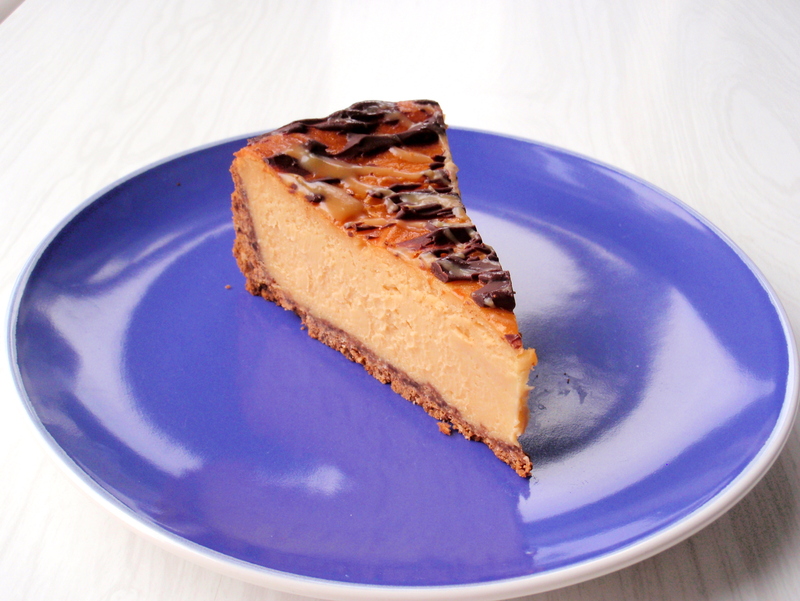 But if you like peanut butter, it’s So Good – dense and creamy and almost stickily peanut-buttery, and with the chocolate and caramel topping it’s almost like eating a Snickers bar in cheesecake form. It’s incredibly easy to make, too – especially if you have a food processor, but even if you don’t, I imagine it would be pretty straightforward. The fiddliest bit is getting the base (which includes ground up chocolate and peanuts as well as the usual malt biscuit) into the cake tin. Nigella says you don’t even need a water bath for this, because it’s meant to be dense, though I suppose you could use one if you felt like it. I didn’t, and the results were spectacular. 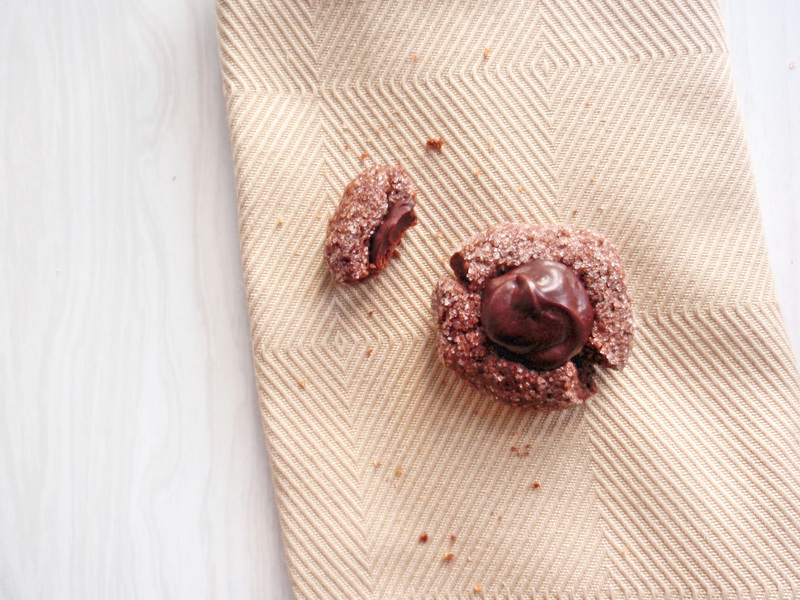 Blitz everything in a food processor* until it resembles fine crumbs and clumps together when you grab it. Press evenly into the bottom and sides of a springform tin and refrigerate to firm it up a bit while you clean out the food processor and make the filling. It helps if all of these ingredients are at room temperature before you start: this helps the cream cheese mix in better and avoids troublesome clumps in the end product. If you have enough foresight, take the cream cheese, mascarpone and sour cream out of the fridge a couple hours beforehand. Again, put everything in a food processor** and blitz until smooth and creamy. Don’t avoid the temptation to eat this mixture with a spoon: it is heavenly; you will fail. Just don’t eat all the mixture before it goes into the tin. Pour this into the chilled base in the springform tin and bake for about an hour and a bit or until just set (it’s okay if it’s still a tiny bit jiggly). Start checking around 45 minutes depending on your oven strength – mine took just over an hour. 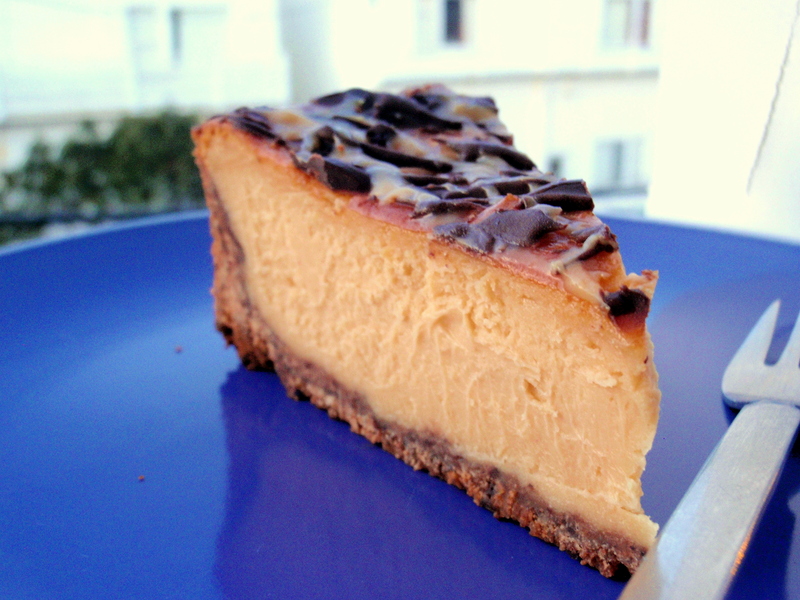 Let cool until the cheesecake reaches room temperature and then chill in the fridge, preferably overnight. Once it’s ready to serve, remove the cheesecake from the cake tin and make the chocolate ganache and salted caramel toppings. Finely chop 50-60g good-quality dark chocolate. Put in a metal bowl. Bring 1/4 cup cream to the boil. Pour this into the bowl with the chocolate, whisking as you do, until the chocolate is all melted and it’s nice and smooth. Drizzle over the cheesecake using a spoon or fork. Melt 1/3 cup brown sugar with 1/3 cup cream and 20g (about 1.5 tbsp) butter in a small saucepan over low-ish heat. Turn the heat up, bring to the boil and cook for a few minutes until it starts to get thick and saucy. 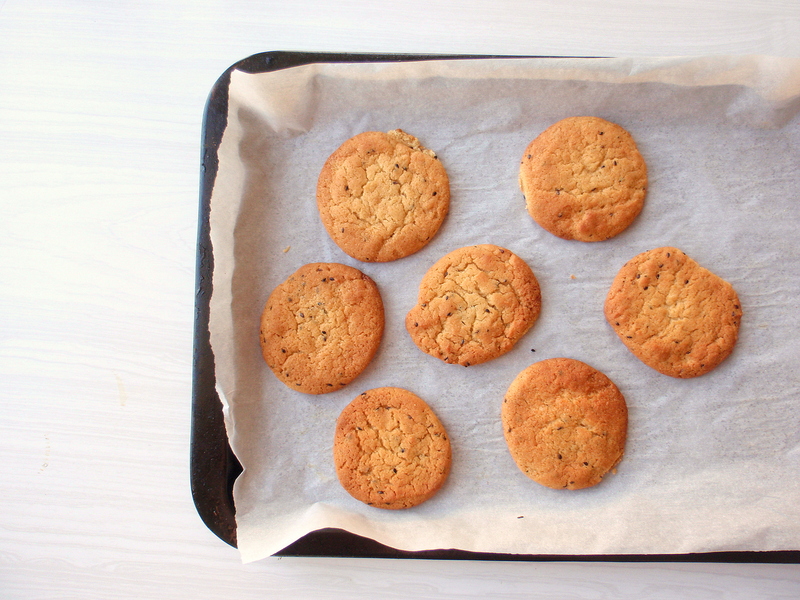 Mix in a generous pinch of flaky sea salt until it tastes so incredibly sweet-salty-rich that you can hardly stand it. Transfer to a bowl and let it cool until it thickens a bit more (but not so much that you can’t drizzle it – if it gets too gooey as it cools, just pop it in the microwave or on the stove to soften it up). Drizzle over the cheesecake. Let the toppings set a little before slicing into the cake and serving up to whoever’s lucky enough to be around. 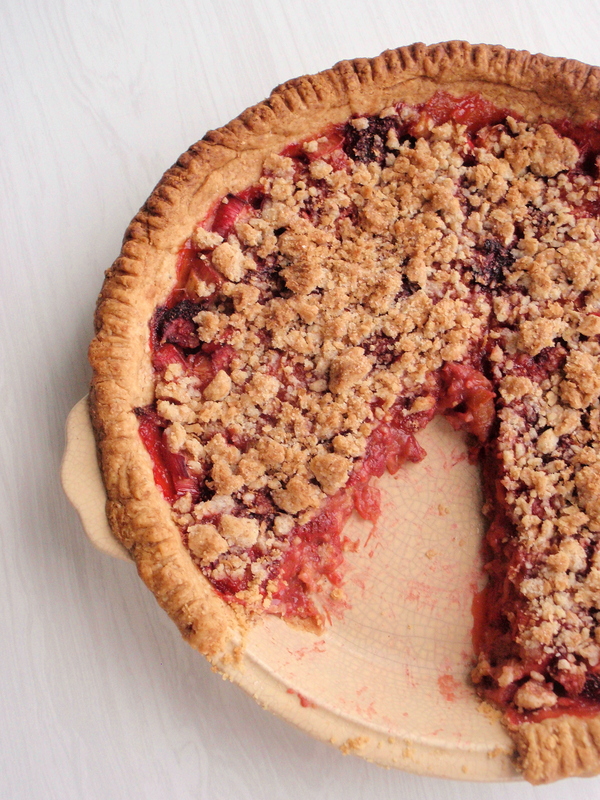 The smaller the slice, the better – it’s very rich, and you can always go back for more if your slice was too small. *if you don’t have a food processor, I would suggest chopping up the peanuts and chocolate as finely as possible, putting the biscuits in a plastic bag and rolling with a rolling pin until they’re all broken up into crumbs, mixing everything together (maybe putting it all in the plastic bag and smashing it up some more), then rubbing the butter into everything so that it more or less sticks together when you smush it into the tin. **again, if you don’t have a food processor, you’ll be okay – and this part will be easier than the base. All you need is some sort of mixing implement, be it stand mixer, electric hand mixer, a whisk sturdy enough to beat cream cheese, a fork, a wooden spoon, and so on. Beat everything together until it’s nice and smooth and creamy. ***okay, so it’s not a true caramel because you’re not really caramelising the sugar in the way you normally would: slowly, carefully. But it still tastes damn good. For a great post on proper caramel, see David Lebovitz’s one here. Okay, so I know what you’re thinking. Feijoa? In August? You’re right, this post has been sitting here for a wee while. But I’ve been wanting to post it anyway. I’ve been in a little bit of a seasonal rebellion. Feels like it was only yesterday that I was lamenting the end of summer and relishing the settling-down feeling of autumn. Feels like it went by in too quick a flash and suddenly all at once winter had set in, the shortest day had come and gone, and we were hurtling recklessly down a fast track into spring. The days were (still are!) getting longer, there were snowdrops and daffodils and lambs on the side of the road coming back from the mountain, the birds seemed to be chirping a bit more, I smelled something akin to that distinct smell of thaw* in the air in the still, clear mornings. It came to a head last weekend when I was in Auckland visiting friends and it was warm (warm enough for bare legs and no woolly coat! for a little while at least), springlike, magnolias flowering everywhere. And it was nice. But I thought, hang on. It’s still August. I’m not ready for spring yet. Spring is full of new beginnings and everything young and tender and bursting with potential. And yes, it’s exciting, with changes afoot and everything moving forward and so on. But not just yet. Not for me, anyway. So when it snowed on Monday (I was still in Auckland during the first snow on Sunday) and I couldn’t contain my excitement, maybe there was a bit more to it than just the novelty of seeing snowflakes outside my window. In Wellington. On The Terrace. (!!!) Maybe there was a little bit of relief in there too, a little bit of: slow down now, relax, it’s not spring yet. And as much as I’ve been scrunching up my face at the hail, at the sleet, at having to take taxis home when the buses have stopped, this ridiculously wintry weather has been kind of a reprieve from the dizzying trajectory into spring. Spring is full of opportunity: I’m not there yet. Almost, but not just yet. I’m still holding on to winter, to stews and roasts and snow, to weekends spent with friends and homemade steak pies and mulled wine and hot chocolates, woolly blankets and daydreams. I’m a huge fan of spring and summer but I’m still grasping backwards, to a simpler time, cosy and pleasant and quiet: early winter, maybe even late autumn, when the whole hunkering-down business was still ahead of us and things wouldn’t be picking up speed for a while. 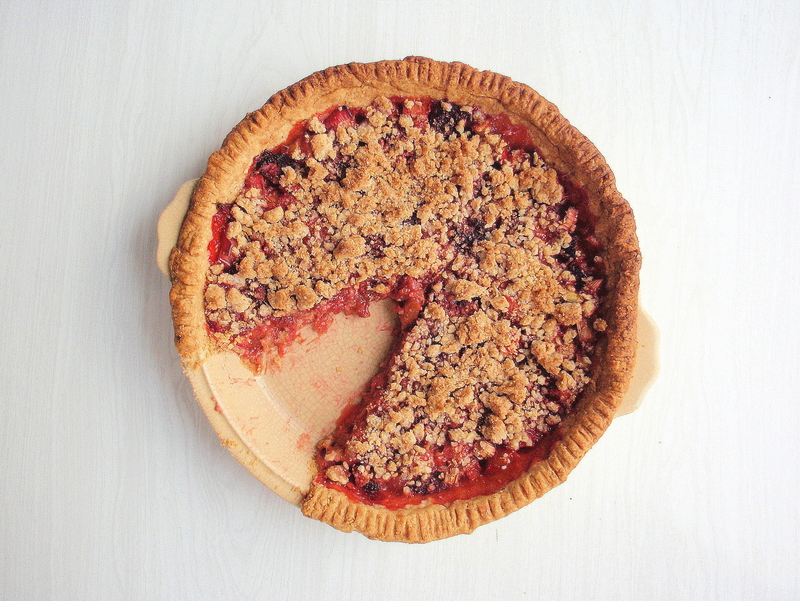 So that’s why I’m sharing this late-autumn pie. The time will soon come when I have to let go and embrace the new, the young, the fresh, to fill my pies with the very first strawberries, to scan supermarket shelves wildly for asparagus. But not just yet. *If you’ve ever lived in a place where everything (the ground, rivers, lakes, etc) freezes over in the winter you’ll know what I mean… that sort of raw, earthy, fresh dirt smell after months of smelling practically nothing outside. It’s invigorating. Sift together the dry ingredients. Add the butter pieces and toss so that they’re coated in the flour mixture. Rub the butter into the flour (or use a pastry cutter or food processor) until the mixture reaches a pebbly consistency. Sprinkle 3 tbsp of the cold water over the mixture, and using your hands, work the mixture into a dough. If it’s not sticking together enough, add a little more water (only a bit at a time); if it’s too sticky, add a bit more flour. Form into a ball. 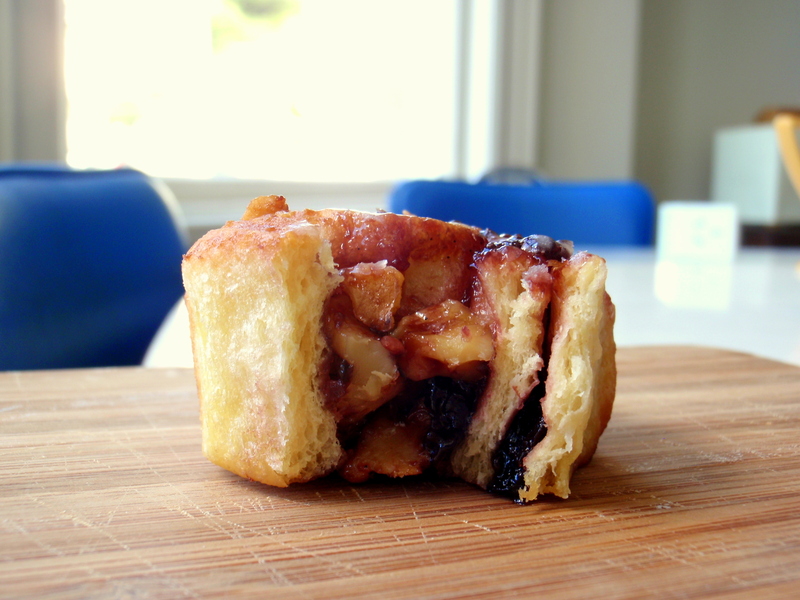 If you’re making 2 smaller pies, as I did here, divide the dough into 2 and roll into balls. Flatten them a bit, wrap in plastic wrap, stick in the fridge to cool for at least half an hour. Chop up roughly 350g pears (about 1-2 smallish pears) and scoop out the flesh of 1-2 feijoas (you could easily use tamarillo, or rhubarb, or any pie-appropriate fruit, really). Place in a bowl, grate some fresh ginger over the top, sprinkle over a handful of sugar (I used brown sugar), mix it up and let it sit for a bit. 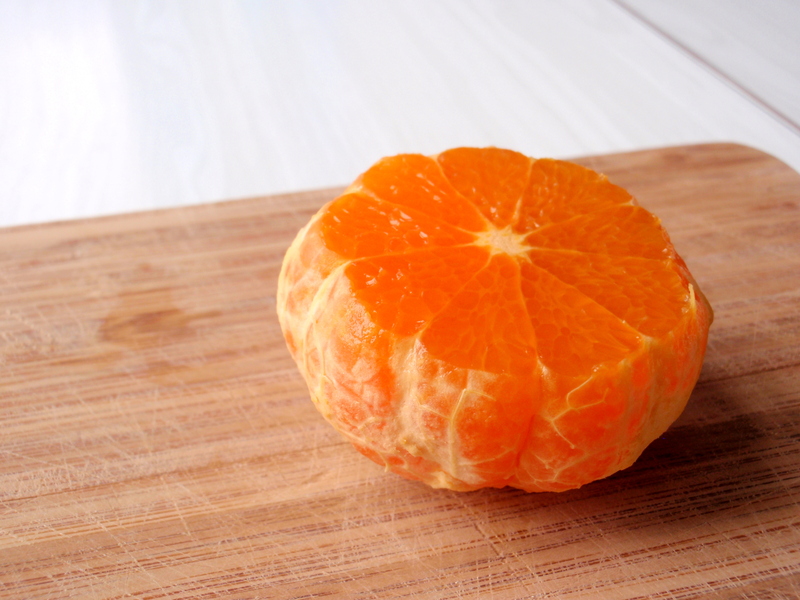 Pile the fruit in the middle and fold over the outside edge, pinching a bit as you go. Dot the fruit with little torn-off bits of butter, brush the pastry with an egg wash of a beaten egg & a splash of milk, sprinkle demerara sugar over everything and stick in the oven for 25-30 minutes (if you are making one larger pie, you may need to have it in the oven for longer) until the fruit is cooked and the pastry’s nice and golden. 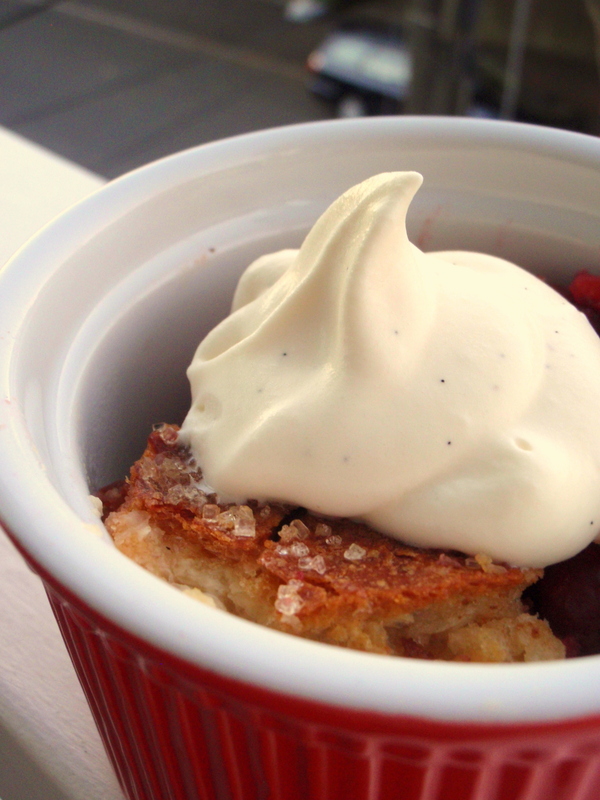 Let cool a little bit and serve with whipped cream or creme fraiche or a bit of plain yoghurt. 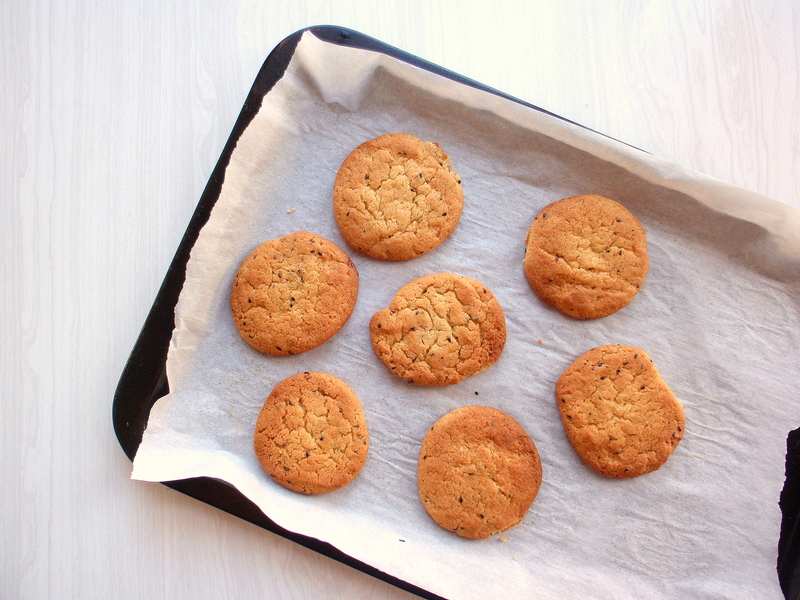 *I’ve made this with both wholemeal flour and various combinations of white and wholemeal. It works however you do it, though you may need to tweak the amount of butter and/or water a little bit. 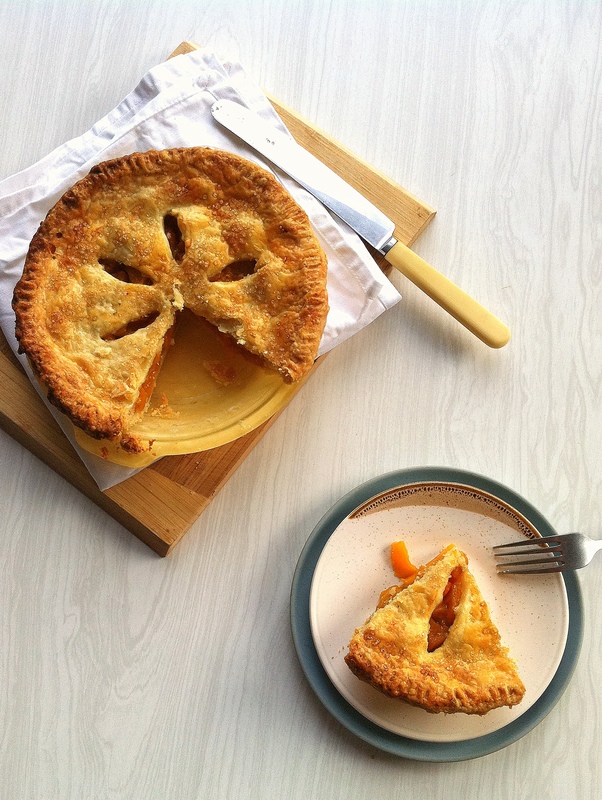 **You don’t want it to be too thin – this pie doesn’t have the benefit of a pie dish to hold it all together, so you’ll want it to be sturdy enough to hold in the juices. Two nights ago found me at the kitchen sink, elbow-deep in post-midnight dishes. It’s not often these days I find myself doing a full-on batch of washing-up, since I haven’t lived in a flat without a dishwasher since 2008. But the other night the dishwasher was already going and the kitchen was still full of the detritus from dinner and some serious baking (including a trial run – but more on that later). I wasn’t very happy about doing the dishes when I had plans to get up five hours later to go to the gym before work (needless to say I didn’t make it), but I figured it was better to do a bit then rather than leave it til morning. And ‘a bit’ turned into a full-on kitchen clean, despite my protesting eyelids, and I realised I somehow enjoyed that fog-like haze of scrubbing and bubbles. And for the last couple nights since then, I’ve broken out of my usual dishes routine in that I’ve actually been doing the dishes. Properly, with a sink full of suds and scalding hot water. I’m not the first person to discover that doing dishes is strangely cathartic (and it’s not the first time I’ve discovered that), but there’s just something about the combination of that hot water, the scrubbing, the so-tired-you-could-collapse feeling you so often have when you’ve had a long day and a big meal. It’s good. And it keeps you warm when you live in a rather cold house in a Wellington winter. 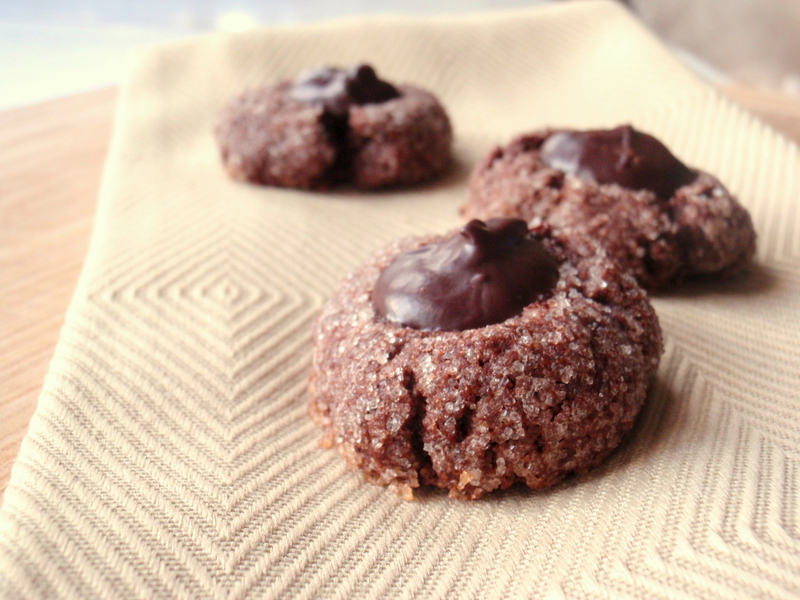 But going back to what got me to that kitchen sink in the first place: the mess I made baking these cookies. Actually the recipe itself is pretty straightforward and doesn’t involve too many dishes, but I somehow managed to use every single measuring cup and spoon and different-sized bowls and whisks and spoons for tasting (and being careful not to double dip, as I had been home sick that day). And I made this twice, and made dinner in between batches. So: a big mess. The cookies were for the Wellington on a Plate Bake Club challenge we’re doing at work (how could we not? ), hence the test batch: I was up against some stiff competition. Somehow, though our work has nothing to do with food, it seems as though nearly everyone in the office was born with a whisk attachment instead of a hand (er, debating the usefulness of that as I type). So these had to be good. They also had to contain some Wellington ingredients – to that end I used Whittaker’s chocolate and Tea Leaf T Earl Grey as well as my usual Wairarapa eggs – and, because I hadn’t left the house for two days due to a major cold, they had to consist only of ingredients found in my cupboard. 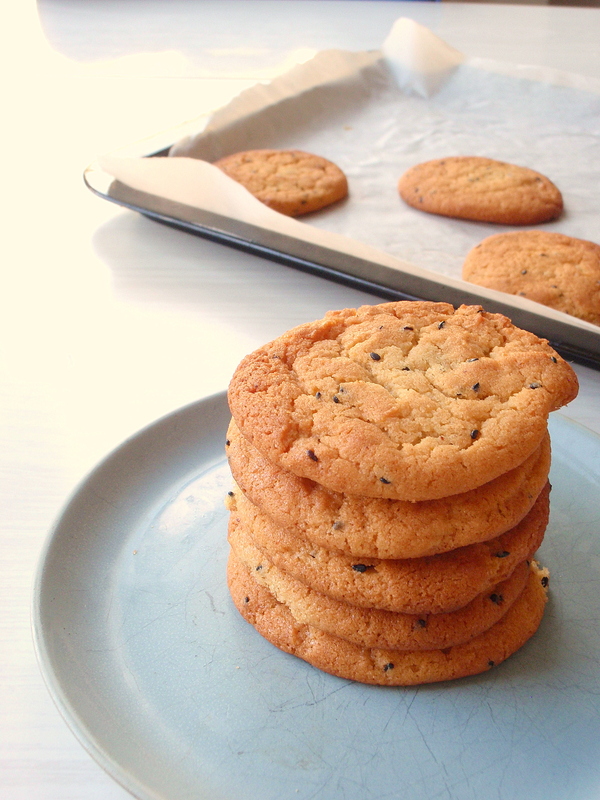 I used this recipe from the Martha Stewart website – not a site I normally visit but it’s full of enticing cookie recipes – and didn’t really change much except for the addition of Earl Grey tea leaves in the mix. 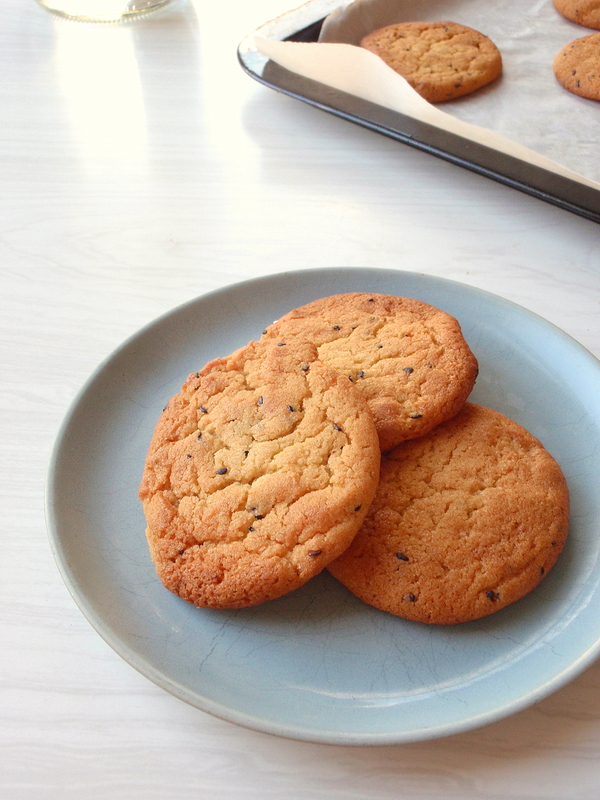 I’d had this idea in my head of Earl Grey shortbread for ages and wasn’t too sure how well it’d pair with chocolate (another reason to do a test batch). 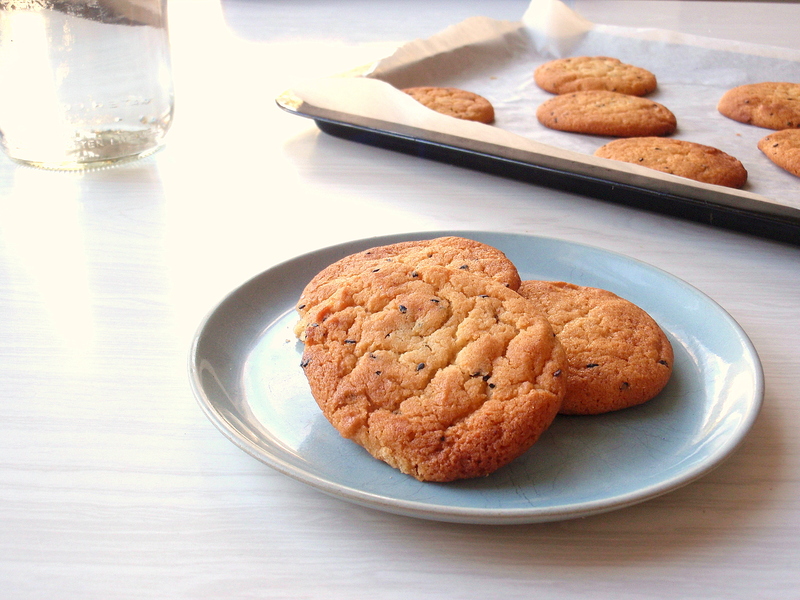 It worked: the cookie was chocolatey, with a hint of bergamot that would grow more pronounced as you chewed and swallowed. The first time around I used a couple of teabags of Twinings ripped open and added to the dry mix. The second time I used looseleaf tea, and blitzed it with the sugar to make it a little finer. I didn’t really notice a difference in terms of flavour when using the looseleaf as opposed to teabags, so use whatever you’ve got. And I was intrigued by Martha’s addition of honey and butter to the ganache (original recipe here). I used manuka honey (again, what I had in the cupboard) and the flavour was just pronounced enough to make it a little out of the ordinary. The second time around I made it without the butter (post-midnight baking, totally forgot) and I didn’t really notice a difference. 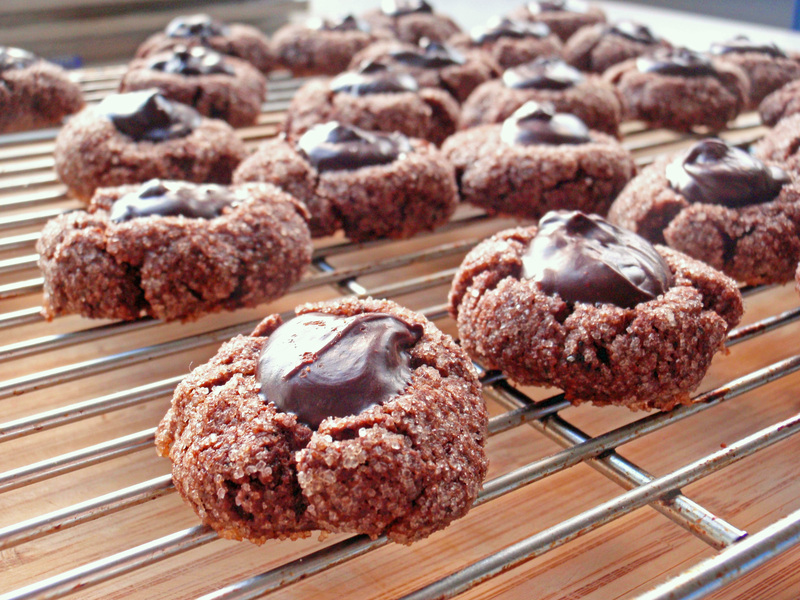 Try these cookies. And then try doing the dishes afterwards. Even if it’s after midnight. It’s not all that bad, I promise (and you’ll have a clean kitchen too!). Preheat the oven to 175C. Sift together flour and cocoa powder and a pinch of salt. Rip open a couple of teabags of earl grey and mix that in. * Set aside. 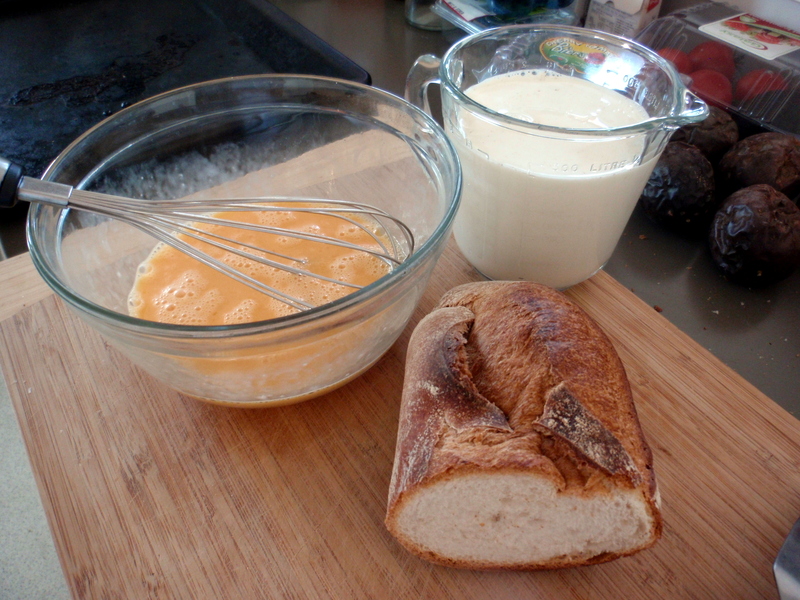 In another bowl, cream together butter and sugar and then add the egg yolk, cream and vanilla. Mix in the dry ingredients. 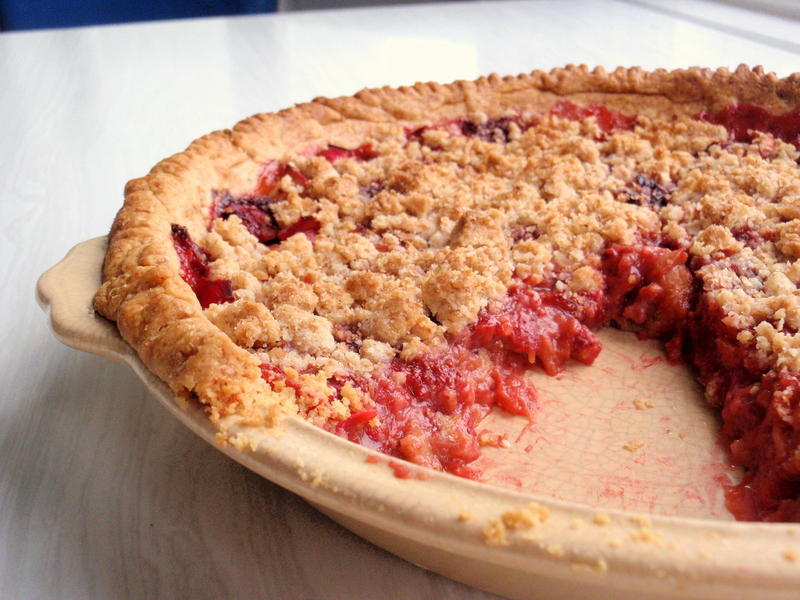 It will be pretty crumbly; don’t worry about this. It will come together when you form the dough into balls (roughly 1 tablespoon). Roll the balls in some sugar and place on a baking tray. 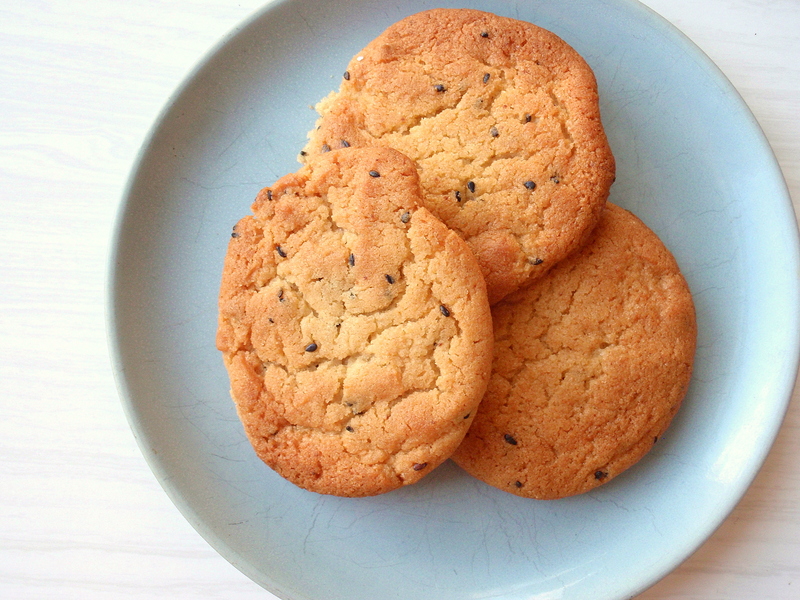 Use your pinky to poke an indentation into each one and bake for 10-12 minutes, until just set (careful not to burn, or cook too long, they’ll get dry). Put the chopped chocolate into a heatproof bowl. Melt the honey into the cream over low heat. Once it’s simmering nicely, pour over And let cool a minute or so. 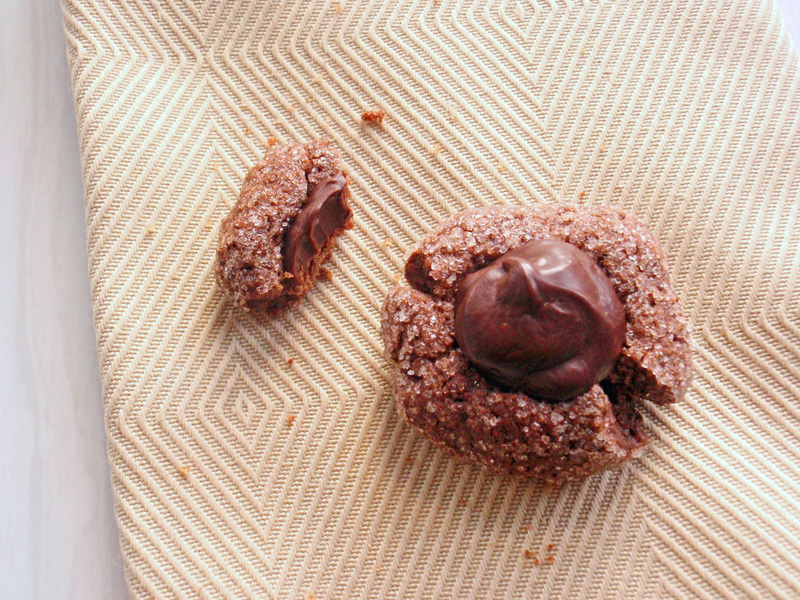 Spoon a bit of ganache into the indentation in each cookie. Let cool until completely set. *If you’re using looseleaf tea, I recommend blitzing it in the food processor with the sugar beforehand, so it’s not as big and grainy. In that case, don’t add it here. **I halved the original recipe, because it said it makes about 90, which I thought a little excessive. I made mine a little bigger, though, so only came out with about 25 per batch. I also used salted butter (it’s what I had) so left out the salt called for in the recipe. Here I’ve kept a pinch in, just in case. ***Awkward measurements, I know. I found the easiest way of doing this was half-filling a 1/3 cup measure with honey, topping that up with cream, and then dumping the whole thing into the saucepan. This lemon cake is, like porridge and a calm cloudy day, not one of those things that people would go out of their way to consider beautiful, or stunning. Lovely? Yes. Maybe even pretty. But gorgeous? Not really. Is the lemon cake stung? Probably not. * It does what it has to do. 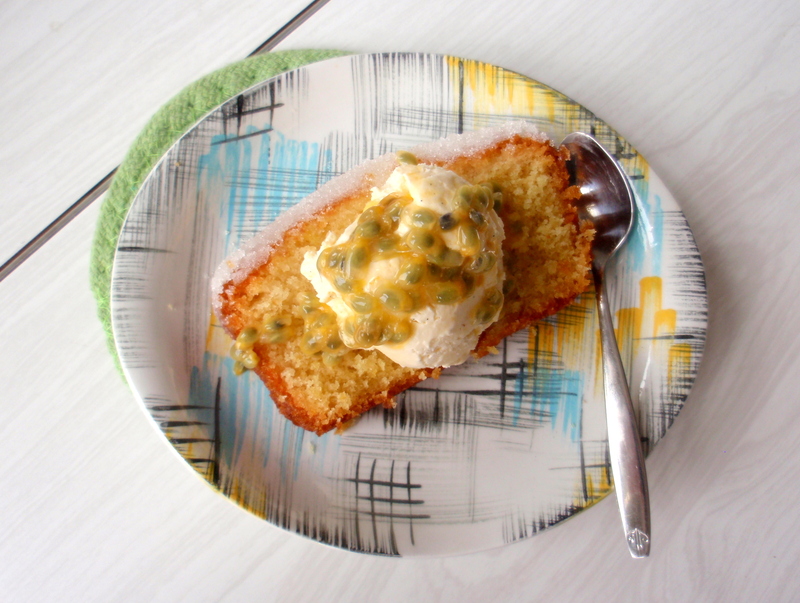 Understated, unobtrusive, but always reliable (as long as you have lemons and olive oil): this cake doesn’t scream for attention, but it’s patient and delicate, sort of like a character in a Jane Austen novel. 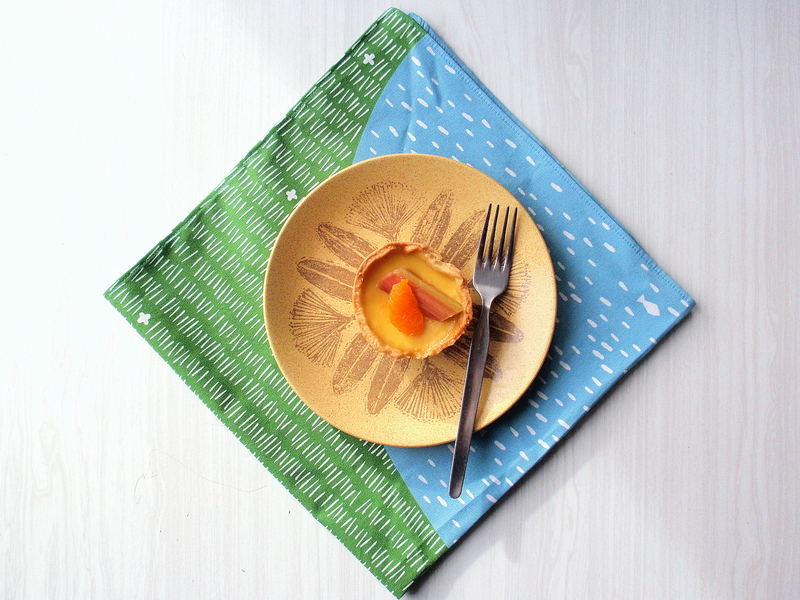 And it’s perfect for those occasions where you need a little something that fills the gap nicely but doesn’t steal the spotlight – afternoon teatime, a little post-work snack, even breakfast, perhaps? I’ve had little time for spotlight-stealing treats lately. April started on a high with a bang and the luxurious glow of an extra hour of sleep and it’s been sort of downhill from there, run ragged with early starts and late nights and chock-full days and now all of a sudden it’s almost Easter and I haven’t even baked hot cross buns yet or tried my hand at making these marshmallow chicks and holy crap, I need to slow down. Not sure what has happened but the darkening evenings feel like they’re closing in on me and I just need to take a breather. So I could do with a little something, a little bit of lovely, nothing too loud or attention-grabbing, just something plain and simple and good. I could do with a few minutes in the morning with a hot bowl of porridge, I could do with a glass of bubbles in the afternoon, I could do with inhaling the smell of bookstores and the small joy of finding what I’m looking for. 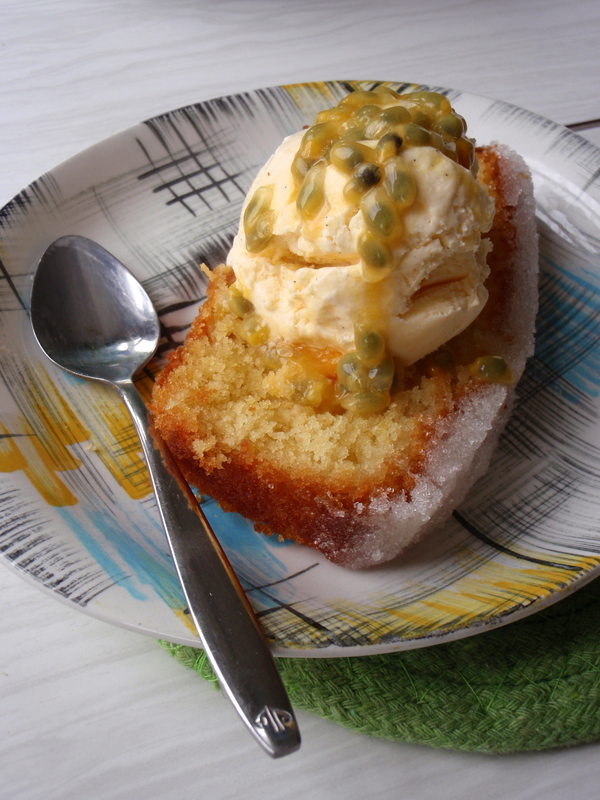 And I could do with a bit of this cake and a pot of tea, maybe that scoop of ice cream, a bit of passionfruit scooped over the top. When everything’s tiresome and there’s no end in sight you need to rely on little pleasures to keep you going. This is one of those things that’s so plain and simple, you hardly need to think about it at all. Despite that, it’s good, so reliably there-for-you that you might take it for granted, but when you do turn to it you don’t know what you’d do without it, like a best friend, a sister, a mother. And the citrusy zing and grassy hint of olive oil carry it above an everyday cake, just ever so slightly, only just reminiscent of spring picnics and lying in the grass, in the sun, carefree, just for a few bites until you have to go back to the ever-shortening days. But hey, if it helps to lift the mood just a little bit, it’s doing something, right? Olive oil isn’t really the cheapest to be baking with, but it doesn’t feel like such a luxury to be using it by the cupful what with the price of butter these days. 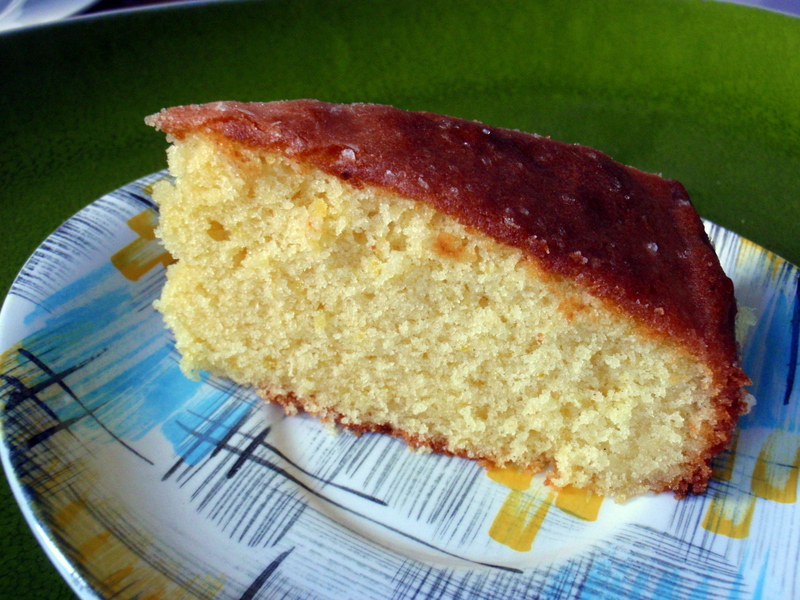 And it really does change the flavour profile of the cake beyond a standard lemon cake, though it’s inconspicuous enough that you wouldn’t guess it if you didn’t know it was there. 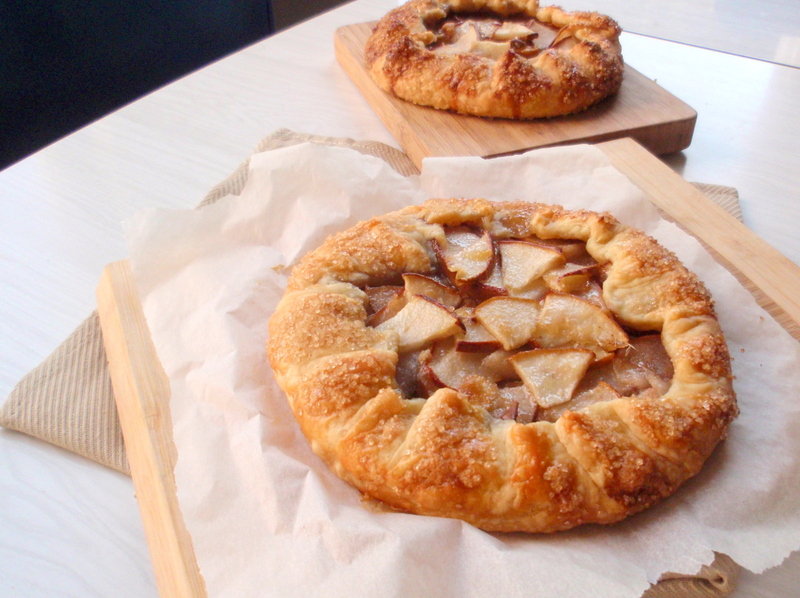 I’ve made this a couple different ways, both with a syrup that seeps into the still-warm cake, and a crunchy lemony sugar topping. I can’t decide which I like better**, so I’ve posted both variations. Try one, try the other, try both. Take some time. This cake is a little treasure for a busy life, and it won’t ask anything of you except to bake it. Which is another little pleasure in itself. Go on, now. *cakes don’t have feelings, silly! You’ll want your oven at 175°C. Prepare a cake tin (the recipe says 9-inch by 2-inch round tin; I’ve used both my round springform tin and a loaf tin for this) by smearing it with olive oil*** and sprinkling it with sugar. Sift the flour, baking powder, and salt twice into a medium-sized bowl. In a large bowl, beat the eggs, sugar and lemon zest until slightly thickened and pale in colour. (It’ll take a few minutes, so be patient, but all that air results in a lighter, more delicate cake, I think! I hope!) Mix in the vanilla and, if your kitchen is better-stocked than mine, lemon oil. Dissolve 1/4 cup icing sugar in 1/4 cup lemon juice. You can heat it in a little saucepan if you like. Pour over the cake pretty much as soon as it comes out of the oven – you want it nice and hot so the syrup will melt into the cake – and give the cake a few stabs with a toothpick to help the syrup settle into the cake. Allow to cool before cutting and serving. Pour and/or spread on top of still-warm cake. Let cool before cutting and serving. This cake will stay moist and delicious for a couple days, tightly wrapped in plastic wrap. *depending on size, and how lemon-y you want it. **I didn’t have any, and it still turns out fine, but if you have lemon oil definitely throw it in! ***a paper towel works great for this. PS. 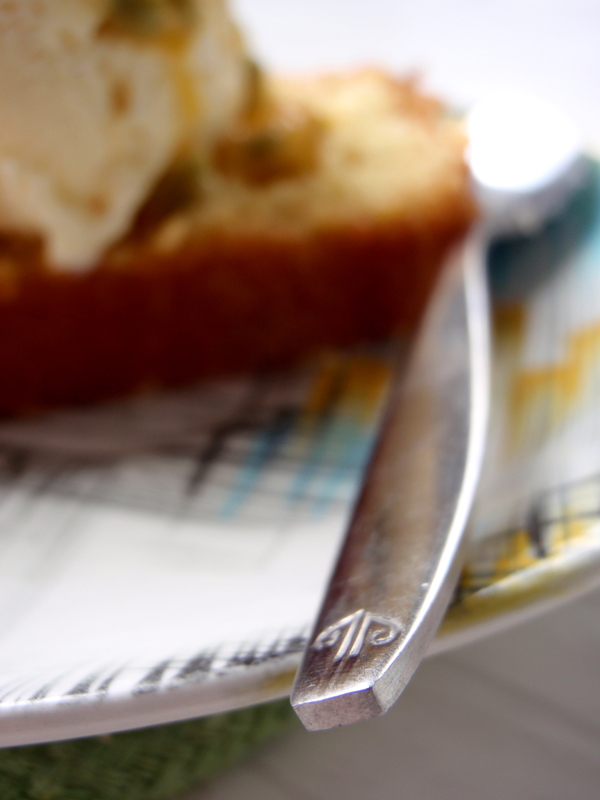 I didn’t steal that spoon from Air New Zealand. When I moved into my new flat and suddenly found myself sans cutlery, my mum (who’s been working in the airlines for as long as I can remember and has a whole pile of airline memorabilia going back to the 80s) came to the rescue and sent a whole bunch of old airline knives, forks and spoons, from back in the day when plastic cutlery on planes was unheard of. 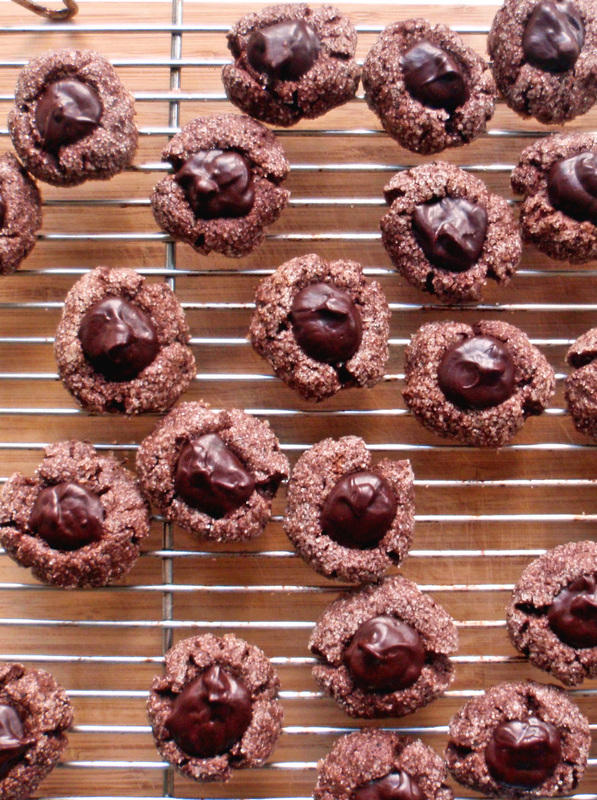 They’re mostly tiny, though, which makes them perfect for dessert. If you’re anything at all like me you’ll have in your pantry, at any given time, an assortment of five or seven half-eaten loaves of bread, at varying degrees of stale to rock-hard, floating around in crumpled paper bags, wreaking havoc on the rest of the cupboard contents (because really, half-eaten loaves of bread aren’t made to slot neatly into jam-packed shelves). And if you’re anything at all like me you’ll start to panic every time you open your pantry, because there’s Too Much Stale Bread floating around on top of the rest of the stuff and when you try to grab the sugar, or eggs, or heaven forbid something like rye flour or barley that lives at the back, the crumply paper bags will come tumbling down. And you’ll decide it’s time to take action. Last time I wrote about suffering the consequences of having eaten too much dessert. This was one of the culprits that left me in a sugar-coma and ultimately led me to declare a sugar-free week last week (a partial success – I made it through 1.5 days**). But anyhow. There’s still something about dessert for dinner that means I do it anyway, though I’m fully aware of the consequences. And when I don’t have a lot of energy (or ingredients) to make something elaborate***, this pudding is something I turn to. 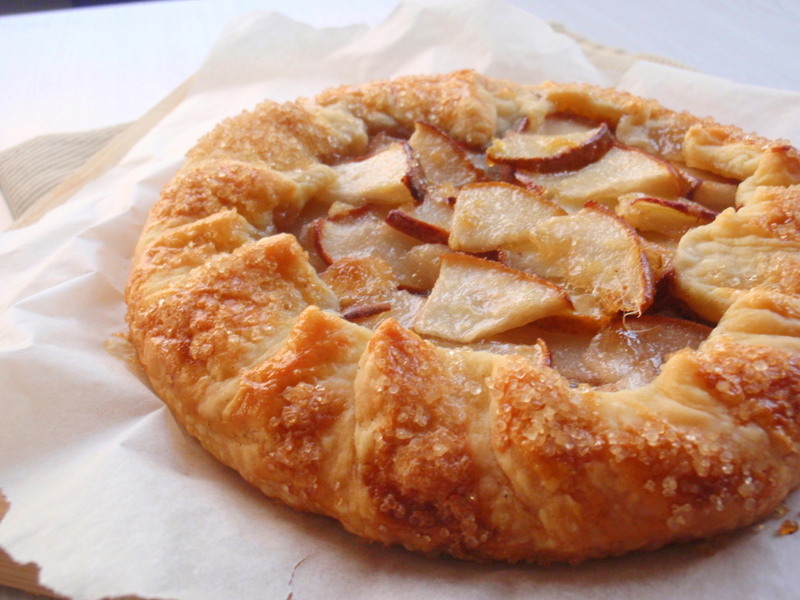 It’s quick to put together, uses the most basic of ingredients, smells glorious in the oven. Plus I must be doing some good by clearing some of that stale bread out of the cupboard, right? 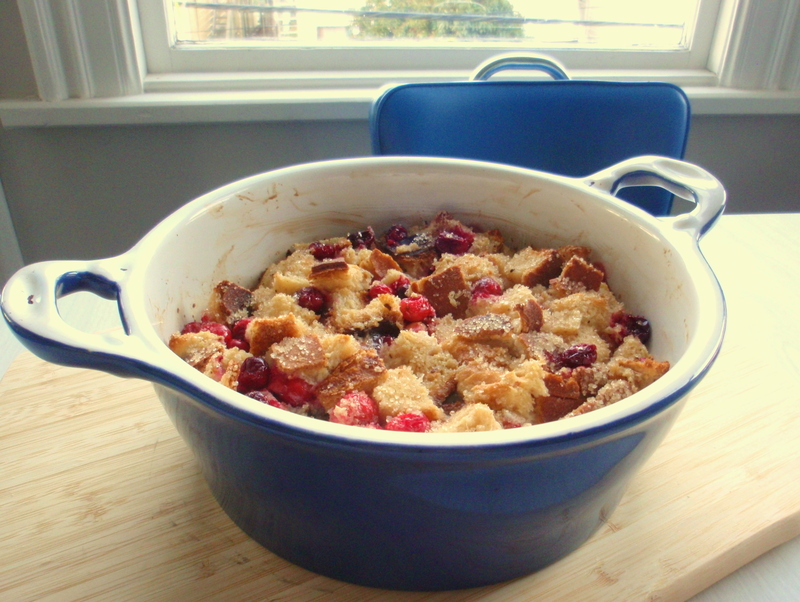 Bread and butter pudding (or technically, in this case, bread pudding since there’s – gasp – no butter in this pudding) isn’t something I grew up with. Probably a good thing, because I love it so much I probably would have easily fallen into a personal childhood obesity crisis. In fact, it wasn’t until I was about nineteen and waitressing over the university holidays that I first tried it. In the restaurant kitchen there was always a warm tray of grey, gloopy bread pudding that would inevitably be left over at the end of the night. I didn’t blame the customers; there were far more attractively presented desserts on the menu, and for a long time I turned my nose up in disgust. **** But at the end of one night, feet aching from what seemed like a marathon dinner service, I was offered a bit of pudding. It was past midnight, I hadn’t eaten since about 3pm, all I wanted was to collapse into bed but there was still work left to do, and that soft, raisin-studded cinnamony slop suddenly became my new best friend. Since then I’ve taken to making this when I’m cold, when I’m tired, when I need to feed dessert to a crowd, when I need to clear out my cupboards, when I’m overwhelmed with sorrow or joy or stinging indignation. I know the whole emotional-eating-is-bad-for-you deal has some truth to it but there’s really nothing more comforting. Now that I usually make my own I prefer bread pudding to have a bit of structure rather than that first soggy, wobbly mess I had at the restaurant (still tasted amazing, but you know, personal preferences). If you like yours to be totally soft and supple, just adjust the quantities of bread or liquid to saturate the bread. A longer soaking time, especially if your bread is extra-stale, wouldn’t hurt either. 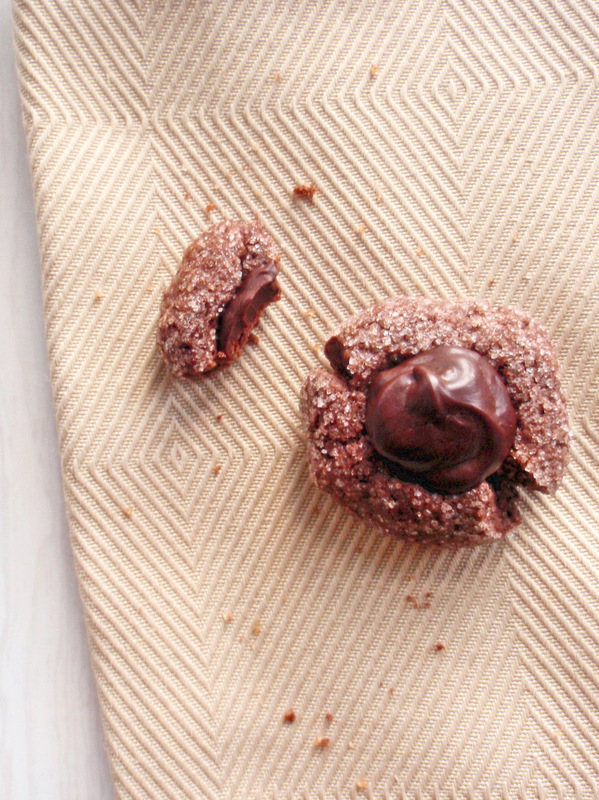 Because this is such a straightforward dessert it’s easy to experiment with variations. 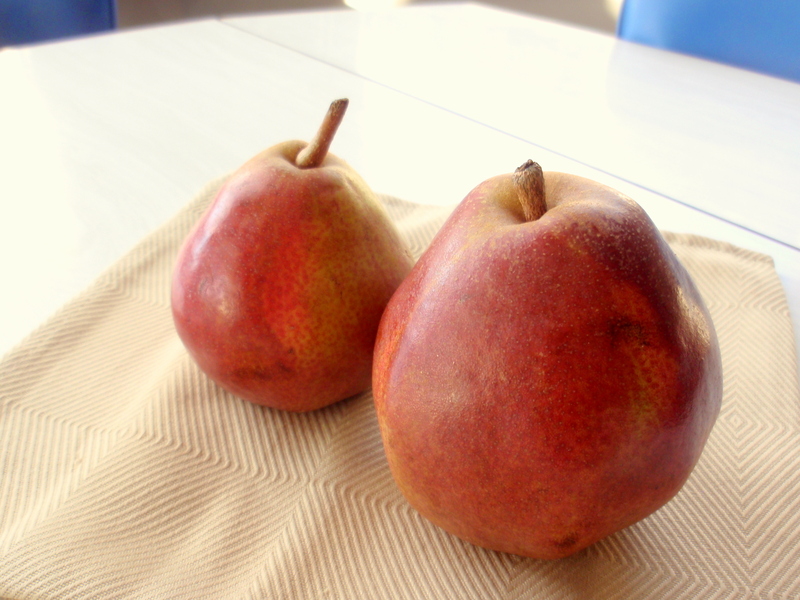 I often use the old standard of raisins or apples, though pear and ginger is a good combination as well as banana and nutmeg. This time around I dumped in some cranberries I found in the back of the freezer. 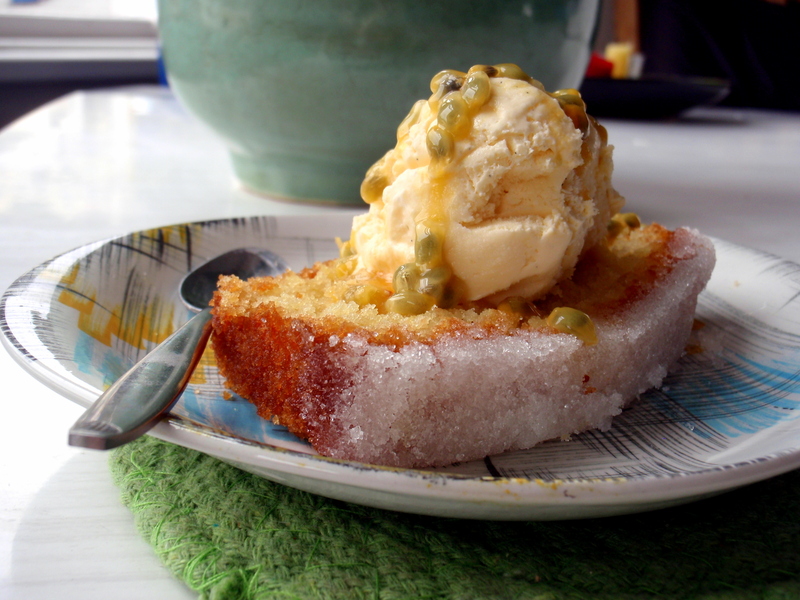 It was a good call: their almost-sour tartness cut through the sweet, custardy bread, making this more of a grown-up dessert. *or, of course, you could do as normal people do and make this as, well, Dessert for Dessert. 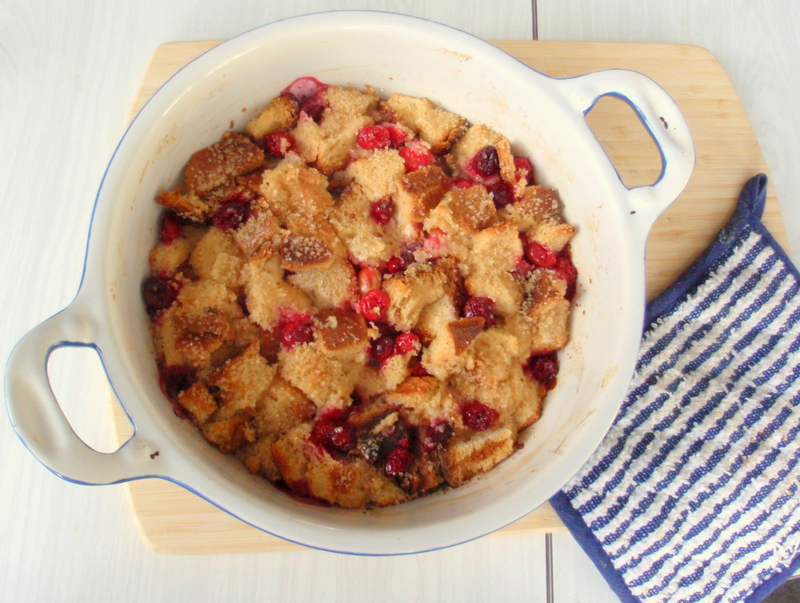 If you’re really trying to use up a lot of stale bread you could always have salad (with croutons), soup (with croutons or little crispy toasts), aaaaand then this pudding. And maybe whizz up whatever’s left to freeze as breadcrumbs. Now there’s an idea. **I was doing really well up to the point where it was afternoon tea time and not one, but two cakes appeared at work, along with a platter of fruit. 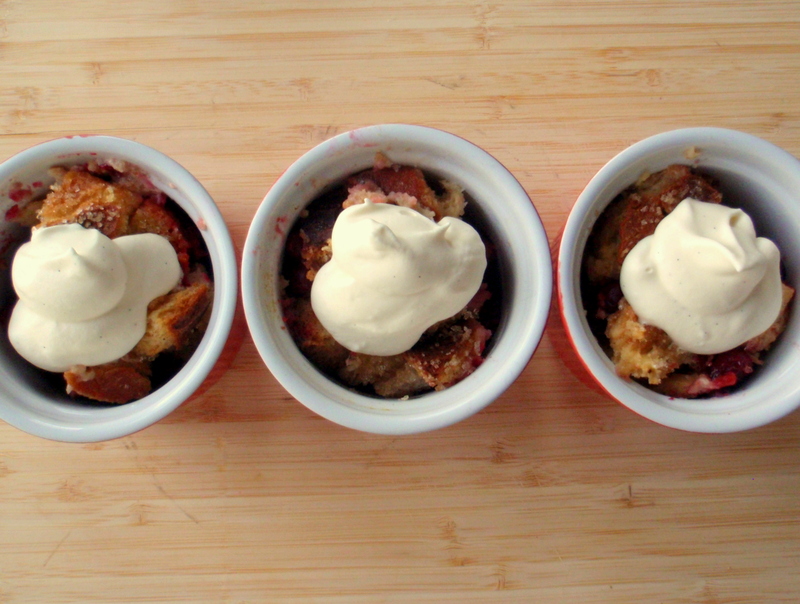 Should’ve just stuck with the fruit, but hey… they were good cakes. ***which is usually part of the reason I’m having dessert for dinner in the first place. ****At age nineteen I was far from open-minded about food, though my attitudes were starting to change! Cut stale bread into cubes or chunks, about 3cm will do. 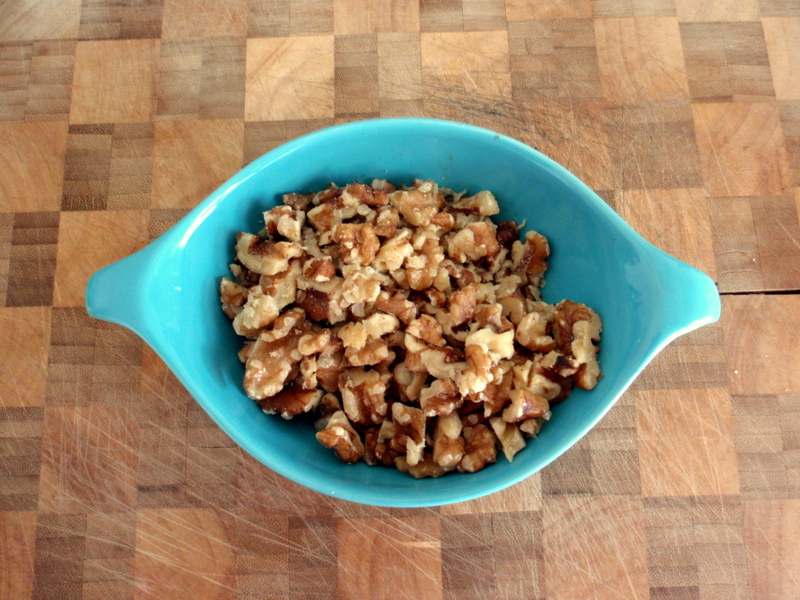 Fill a baking dish with these (or, if you want to be precise, measure out 4-5 cups). Add 1 1/2 cups fresh or frozen cranberries and mix so that they’re evenly distributed. Before you can pop any more custard-soaked bread cubes into your mouth, sprinkle some demerara sugar on top and pop the baking dish in the oven. Bake for 40-50 minutes or until pudding is set and golden brown on top. Serve warm, topped with cream whipped with a little vanilla paste and caster sugar. Or vanilla ice cream. If you have any left over, eat it for breakfast in the morning. I mean, it’s pretty much French toast! *you can adjust sugar quantities to taste – anything more than 3/4 cup I find to be sickly sweet, but to each their own – and less is fine, too. **no wonder I had a stomachache after this. I’ve been trying to think of ways to use up this dud cherry-vanilla jam*﻿ I made a couple weeks ago. I had this vague idea of making sticky buns inspired by the cranberry and pistachio ones at Queen Sally’s Diamond Deli out in Lyall Bay (holy crap they’re amazing) and THEN the ever-so-awesome Laura from Hungry and Frozen made these Norwegian cinnamon buns out of Nigella Lawson’s How to Be a Domestic Goddess and that’s all it took – I was sold. 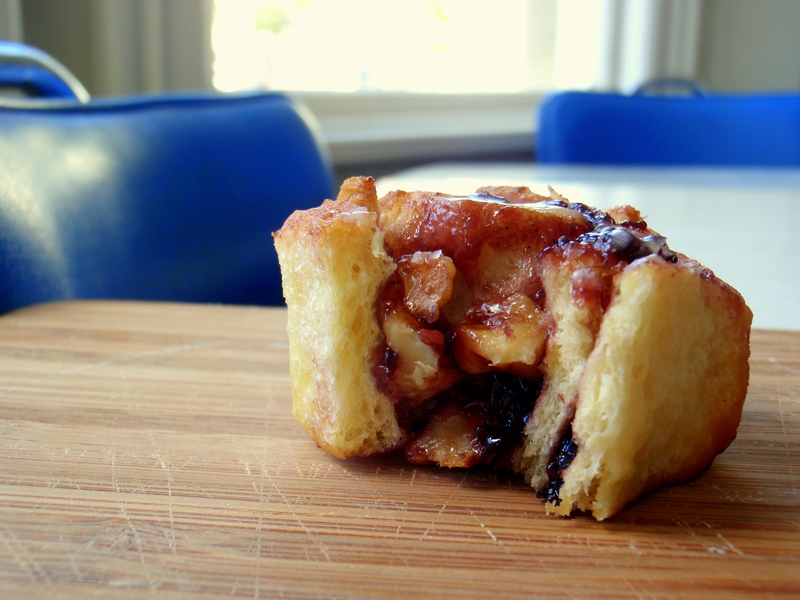 Sticky buns it was. 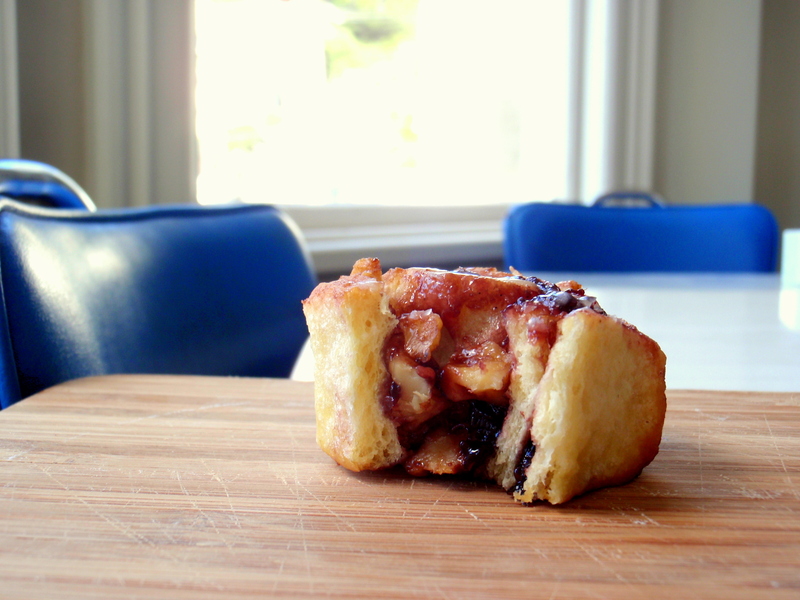 Sticky buns and walnuts are natural friends, as are cherries and vanilla and walnuts (if I attempt to make cherry jam again I’ll include walnuts à la this recipe from Curious Kai). 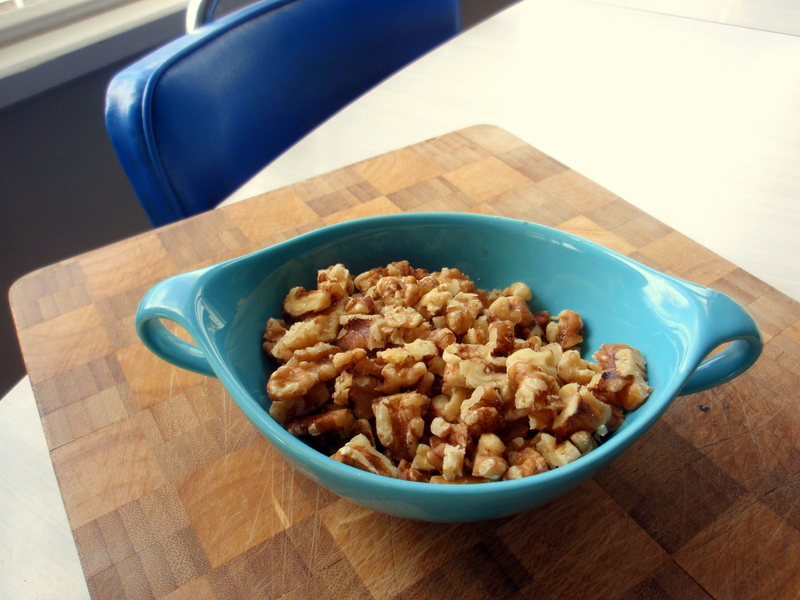 And thanks to some onto-it family members (box stuffed with assorted food = best Christmas gift ever) I had plenty of walnuts lying about. I love the ceremony involved in making sticky buns: clearing off a big space to roll the dough into a big, flat sheet, spreading the filling over the top, adding way more butter than you think any rational person should ingest (maybe laughing maniacally as you do), coiling up the whole thing into a neat cylindrical roll, slicing and arranging the buns-to-be. There’s a lot of anticipation involved, and it comes to a head when they’re sitting in the oven releasing that fresh-bread-plus-so-much-sugar-and-butter fragrance. 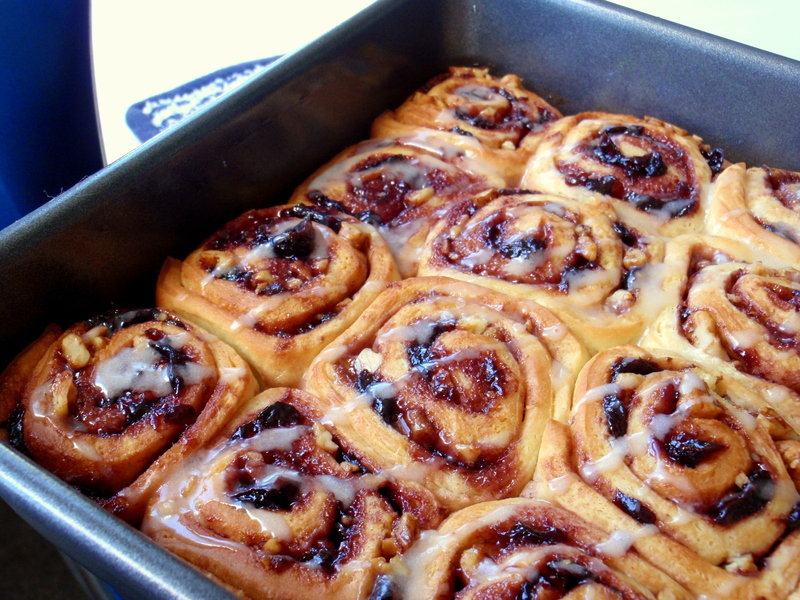 Although making cinnamon rolls has long been on my list of favourite weekend activities, for some reason I couldn’t find my trusty dough recipe. 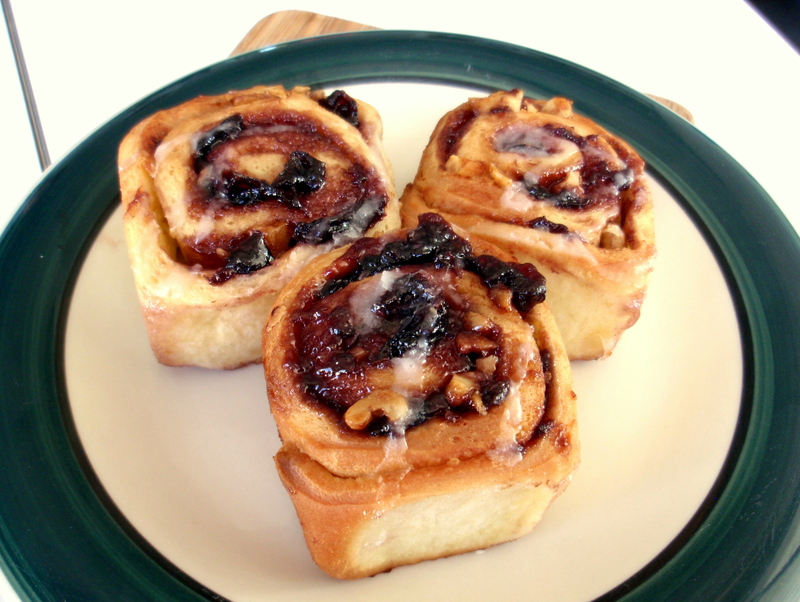 Luckily I had been looking through How to Be a Domestic Goddess after reading the aforementioned Hungry and Frozen blog post and settled on using the dough from Nigella’s recipe for schnecken. Not that I’d made it before. But it sounded like it might work. 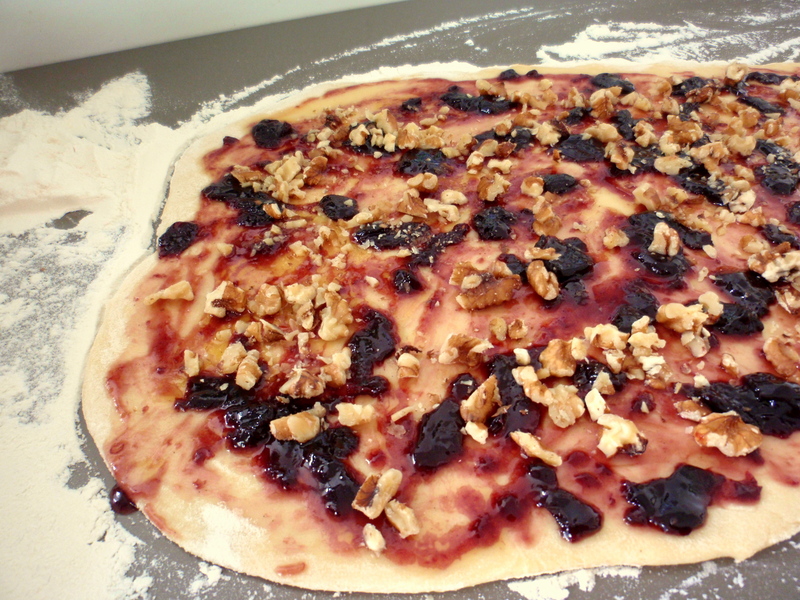 Mix together 500g flour, 50g sugar, 1/2tsp salt, and 15g fresh yeast (get this! it’s amazing and cheap. or if not, you can use half that amount of regular active dried yeast). Combine 75g unsalted butter and 150ml milk – Nigella says to melt them together in the microwave, which worked just fine – and beat in 2 eggs. Add this liquid mixture to the dry stuff, mix it up, make some dough. Then knead for about 10 minutes until smooth and pliable, and form into a big doughy ball. Butter (or oil) a large bowl and roll the dough in it (so that it’s coated in butter), then cover the bowl with plastic wrap or a clean, moist tea towel. Let it sit for a while in a warm place (hot water cupboard? in the oven on the very lowest setting? or maybe your house is naturally warm?) for about an hour, until doubled in size. Go do something else for a bit and when you come back the dough should be gloriously proud and puffy and smooshy; knock it around a bit and give it a knead or two to bring it back down to size. Roll out on a floured surface into a flat, long rectangular shape (Nigella says 60x30cm, but I didn’t measure) and slather the filling mixture all over the dough. 1. 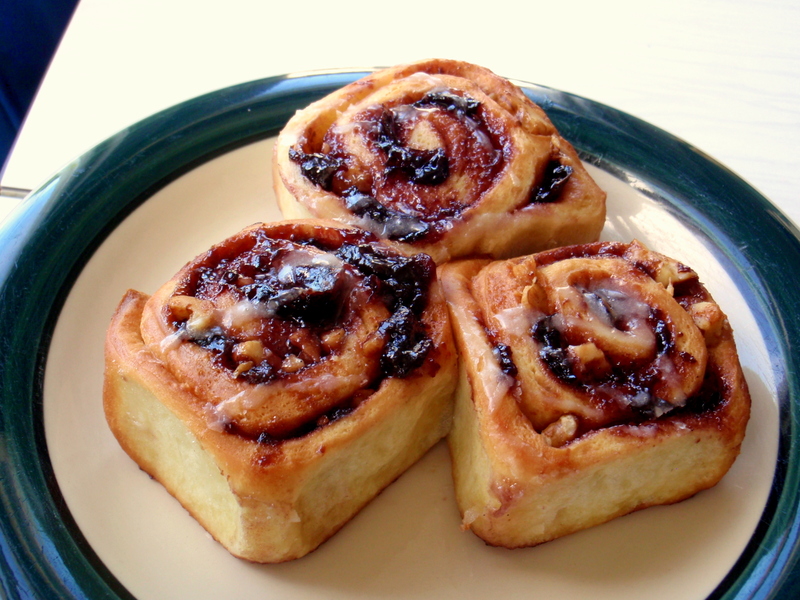 You could mix non-dud jam with a little less butter (maybe 50-75g depending on the consistency of your jam) and 1 tsp vanilla paste or extract and spread this over the dough. 2. Or you could skip the jam altogether and pour over 50-75g melted butter mixed with 1 tsp vanilla paste/extract and sprinkle about 1/2 cup sugar over the whole thing, and scatter dried cherries all over the surface. 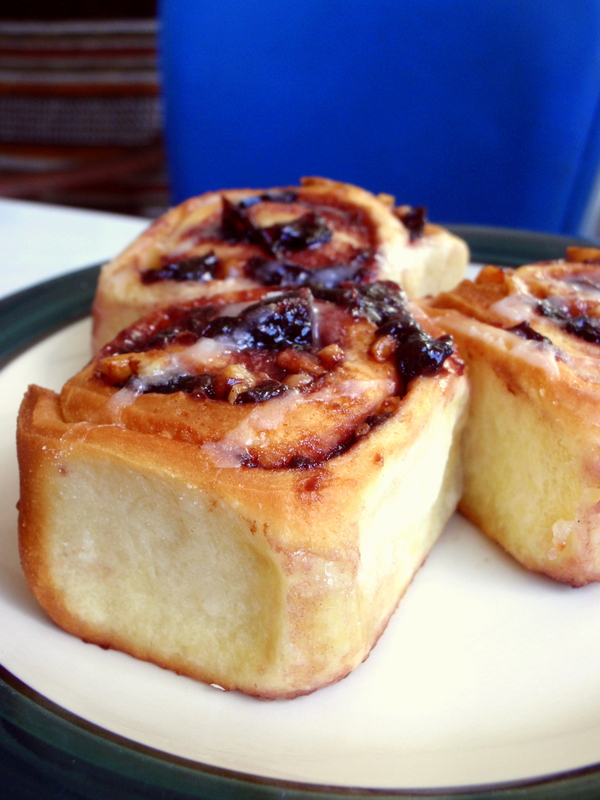 It’ll turn out a bit different, but still good – think raisin-studded cinnamon roll. 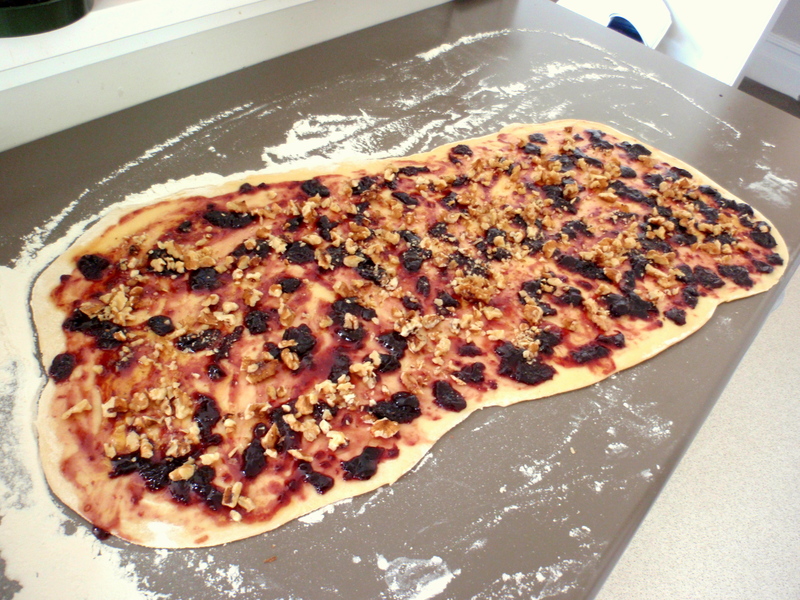 Whatever you end up doing, eventually you”ll sprinkle more or less 1 cup roughly chopped walnuts over the whole thing, and carefully roll it up lengthwise so you end up with a long, python-like hunk of dough (okay, maybe not that big, but sort of thick and snaky). Be sure to keep things tight but not too squashed together. Cut into slices like you’re making sushi (and, if you’re anything like me when I make sushi, eat the raggedy end bits before anyone sees). I cut mine about 1 – 1 1/2 inches thick. 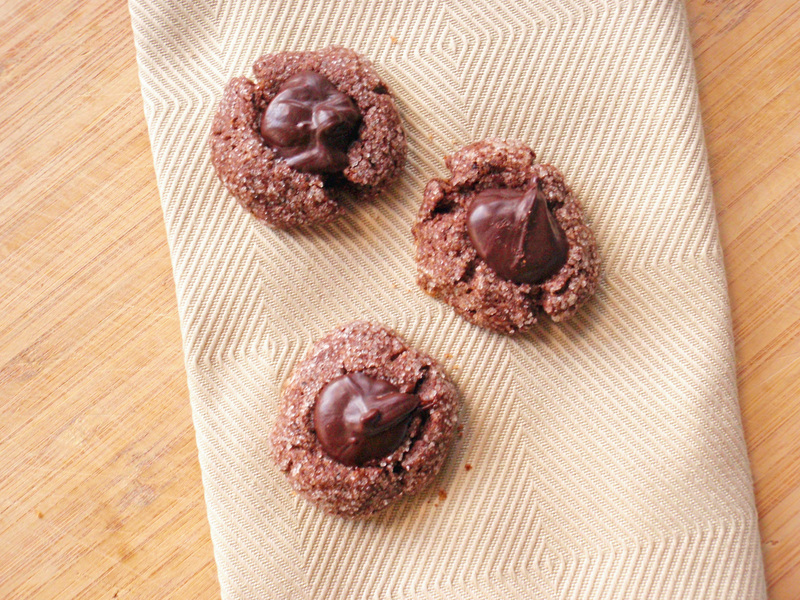 Place into a buttered baking tray – it’s okay if they’re pretty close together – and let prove for 20-30 minutes. This is a good time to preheat the oven to 180C/350F. When the buns have proved, and are nice and puffy and cosily tucked in together in their tray, pop this into the oven for 20-25 minutes and wait for your house to start smelling incredible. When they’re done, you can eat them plain, or you can drizzle with a simple white icing – I usually start with 1 tbsp milk for every 1 cup icing sugar and add more milk and/or sugar as needed to make a gooey, not-too-runny icing. Give these to everyone you know; they will love you for it.